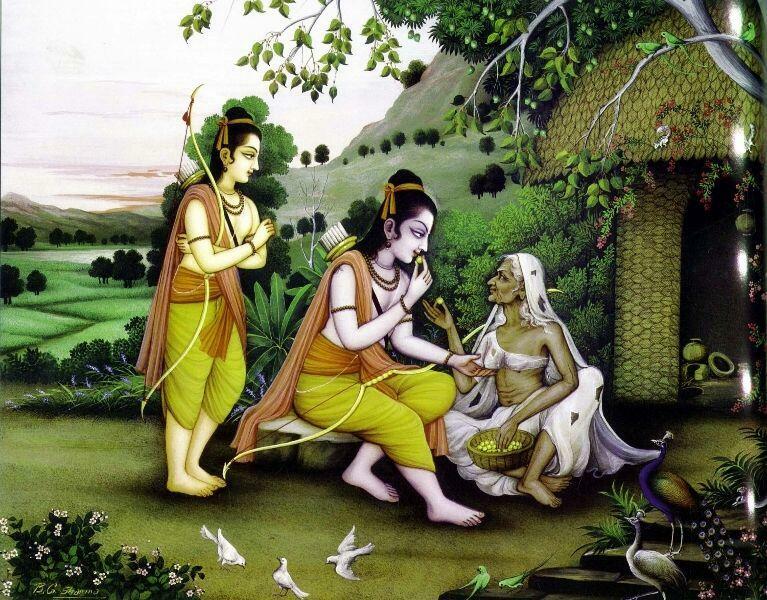 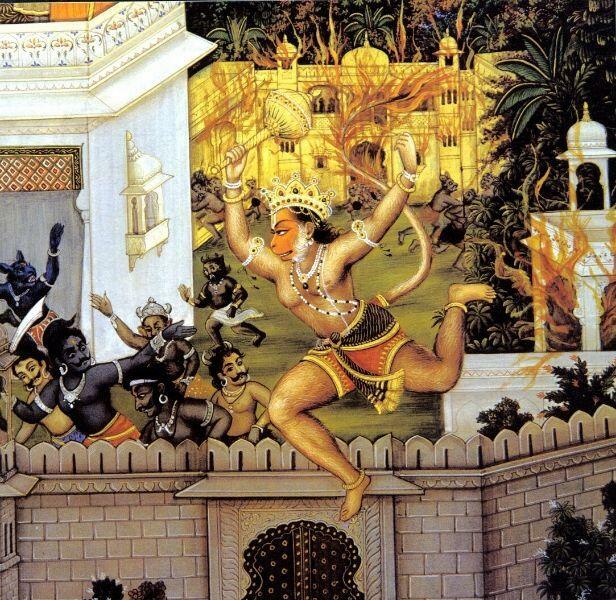 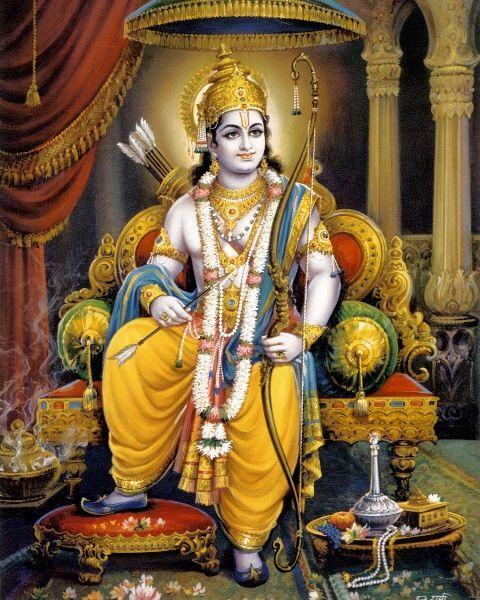 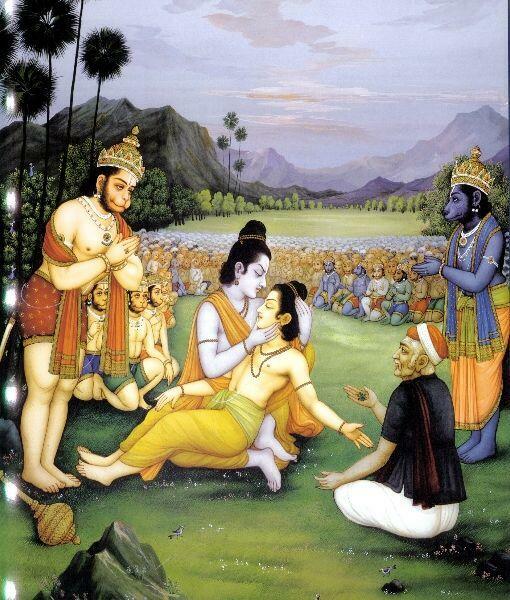 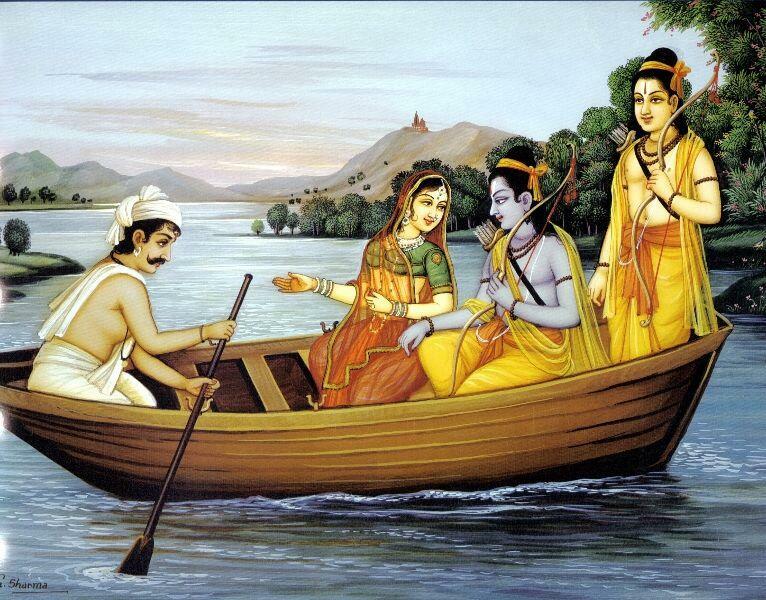 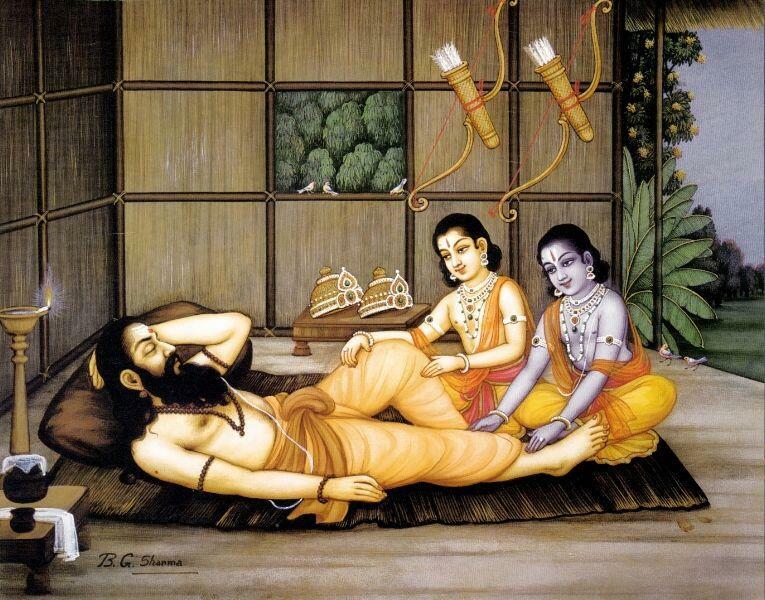 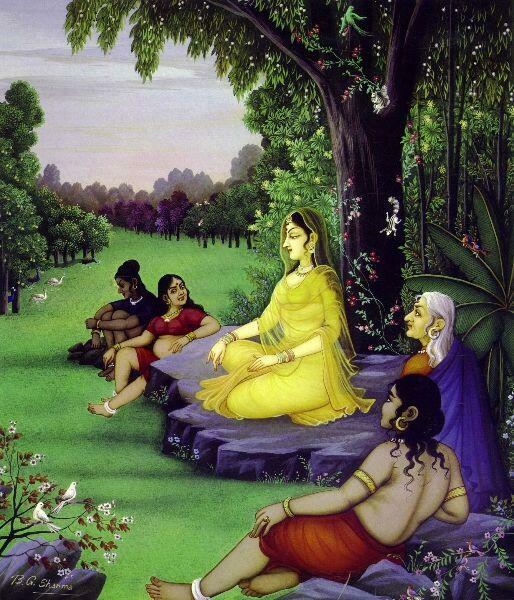 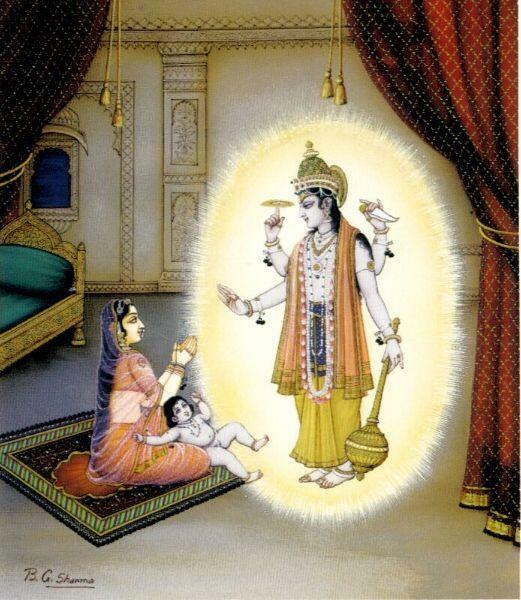 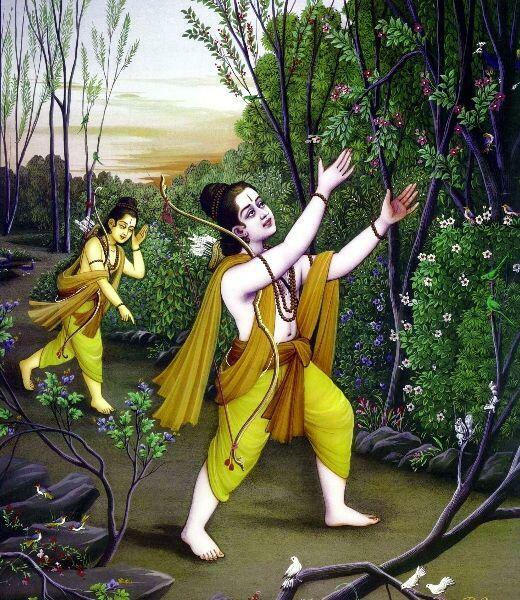 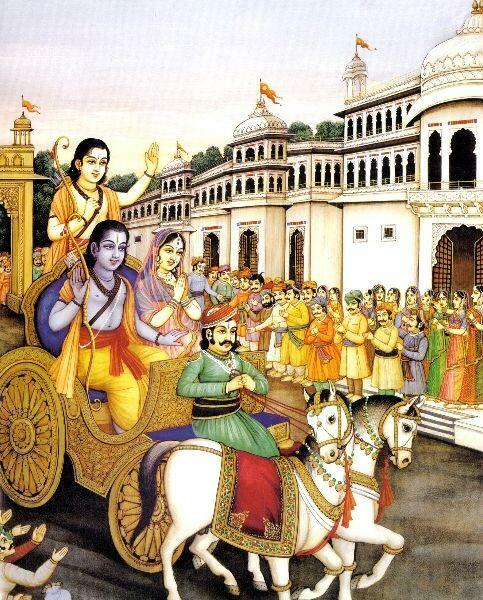 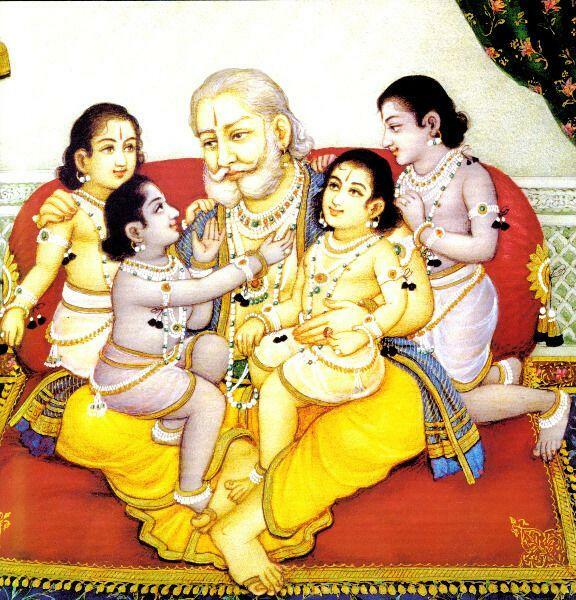 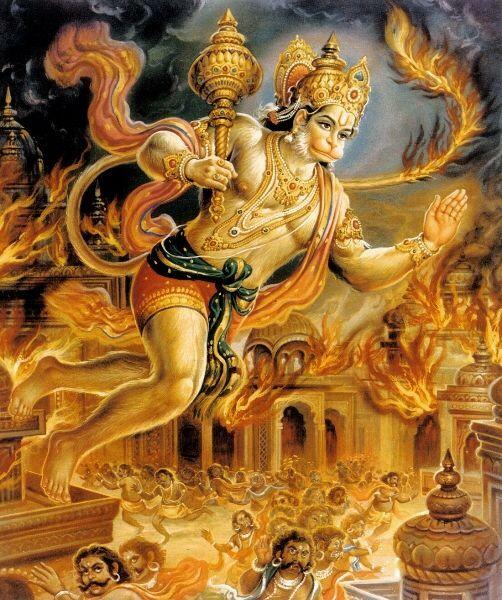 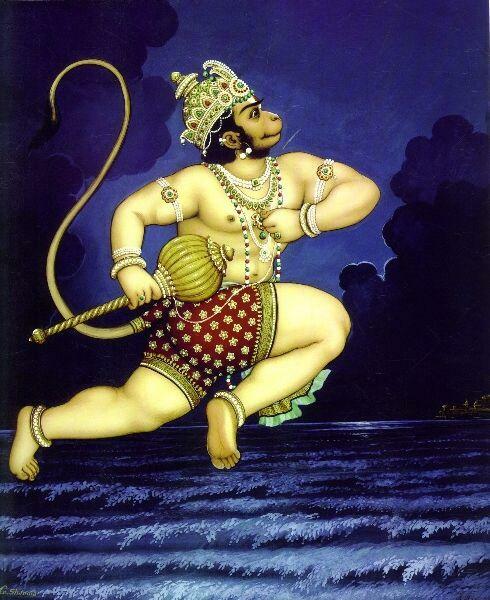 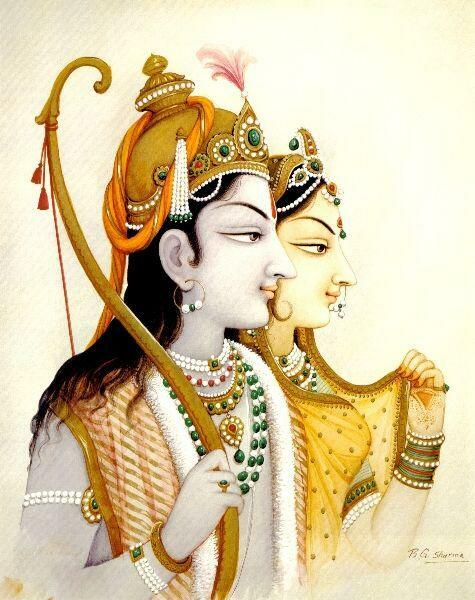 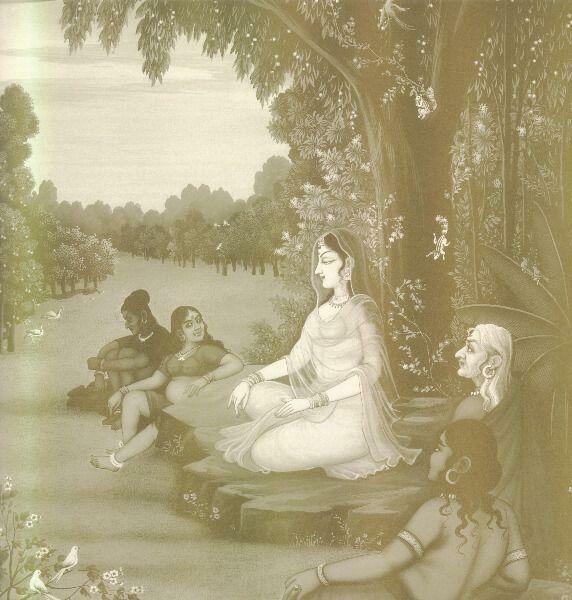 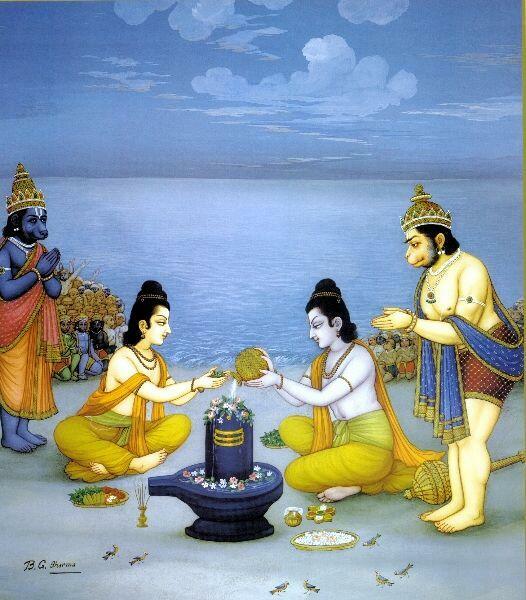 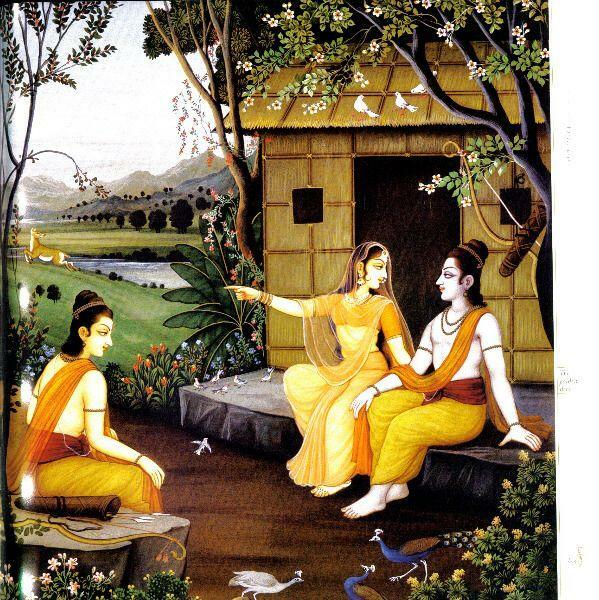 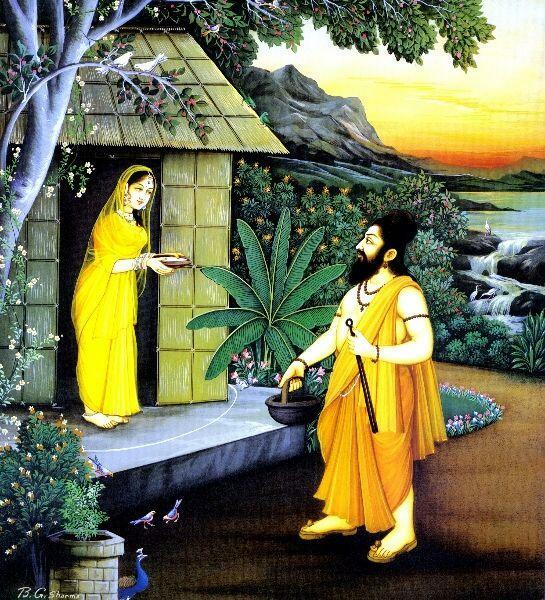 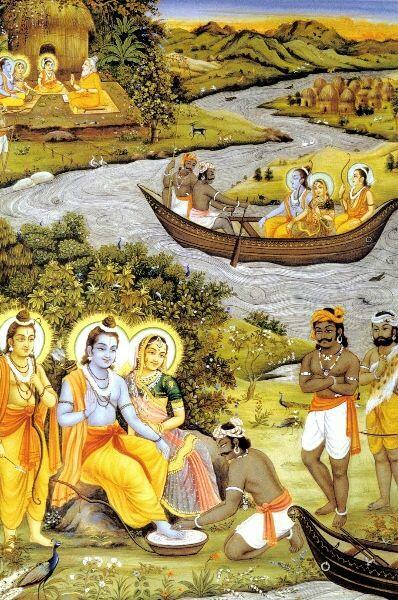 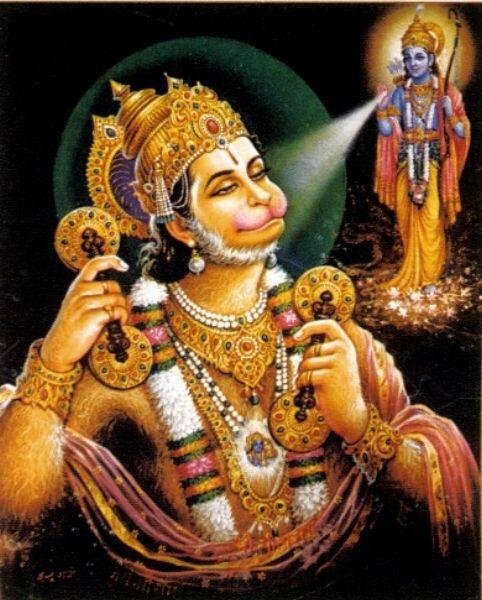 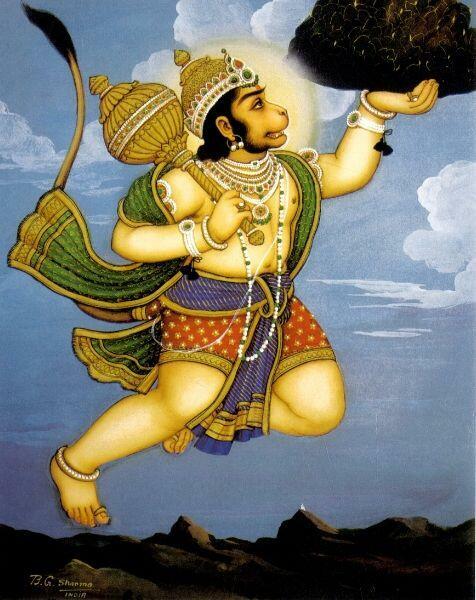 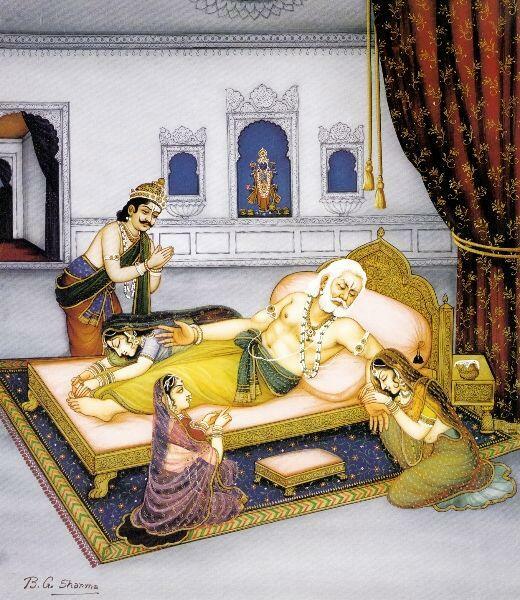 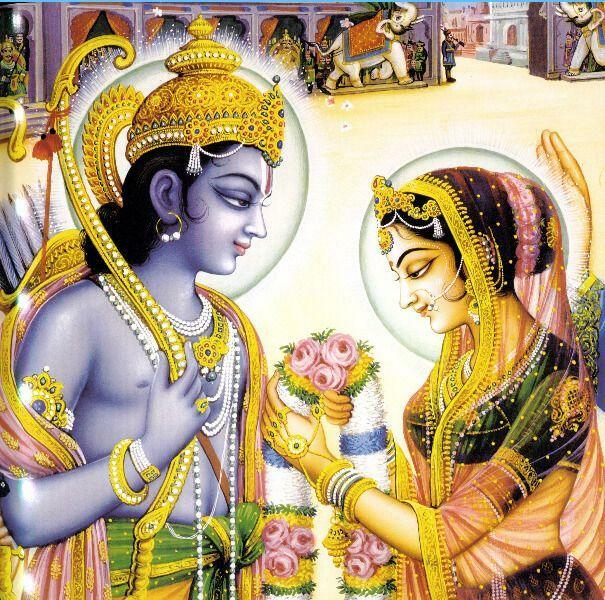 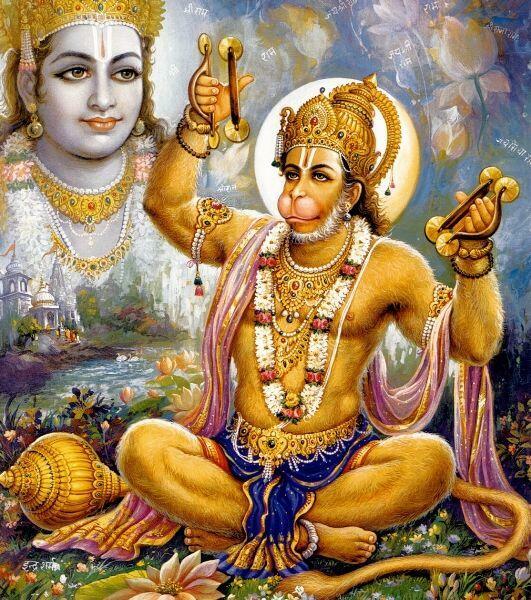 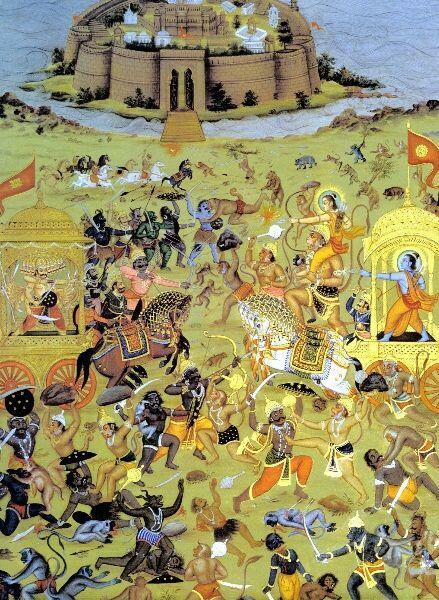 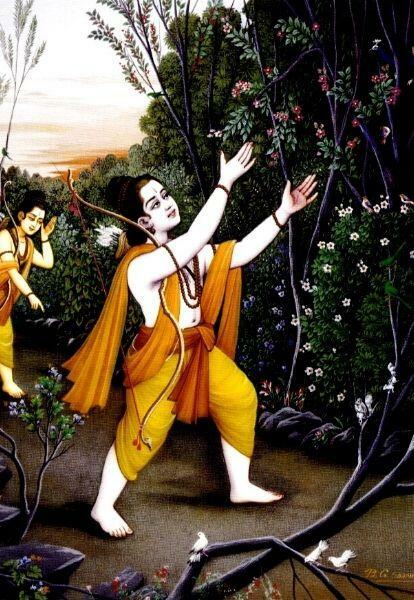 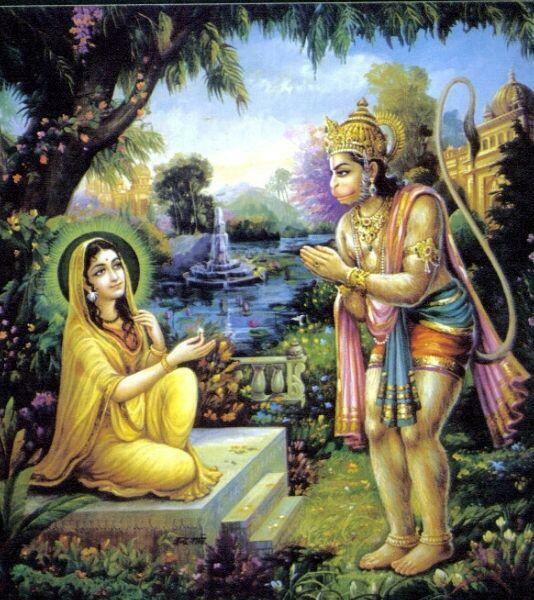 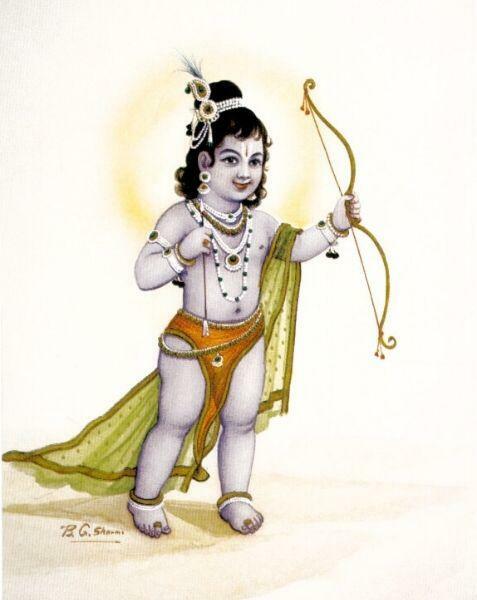 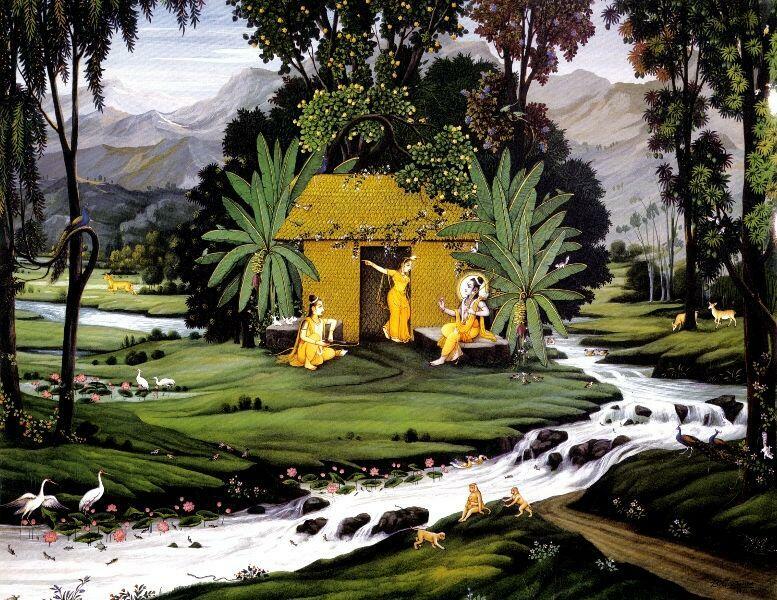 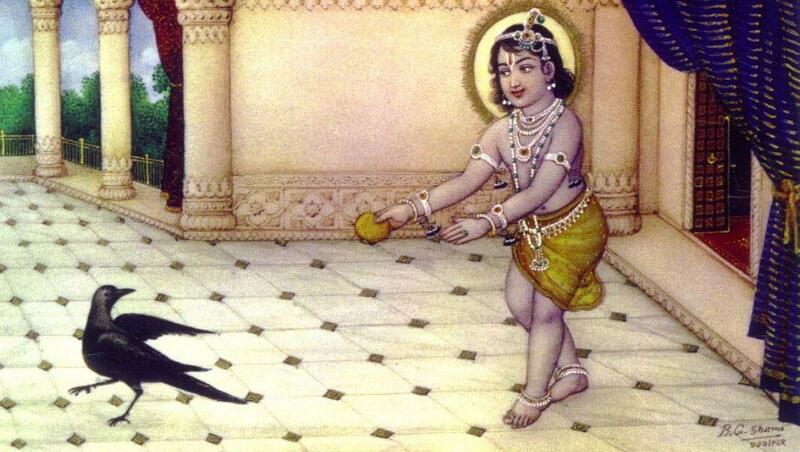 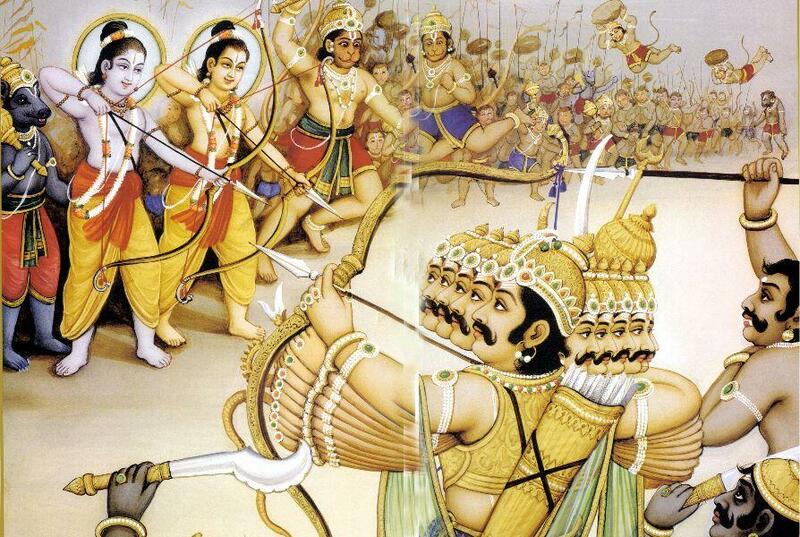 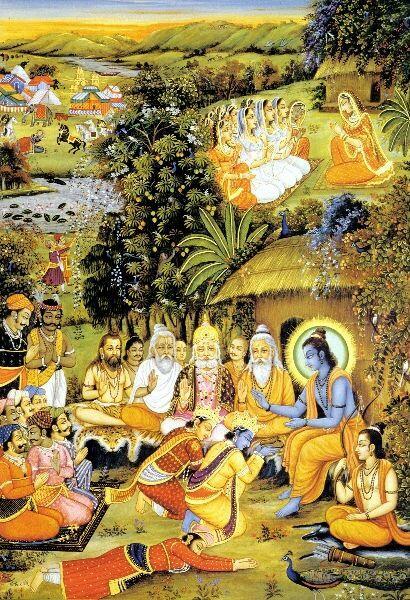 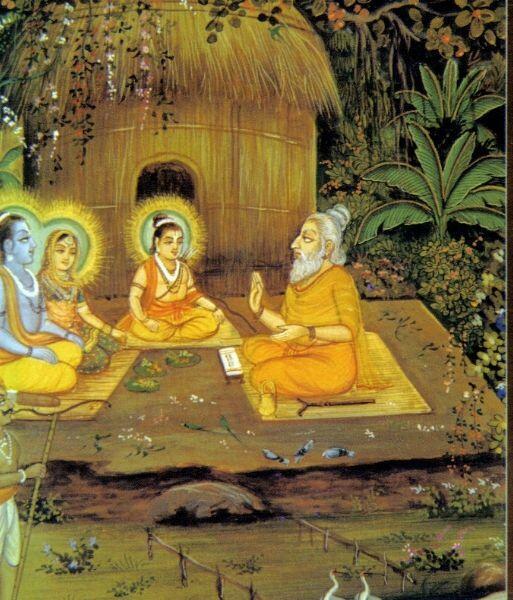 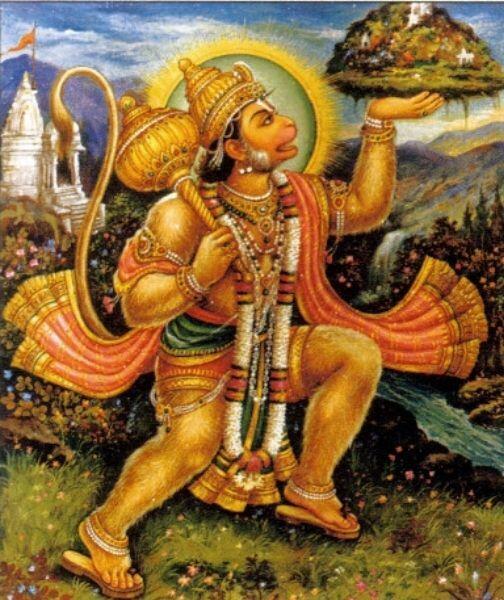 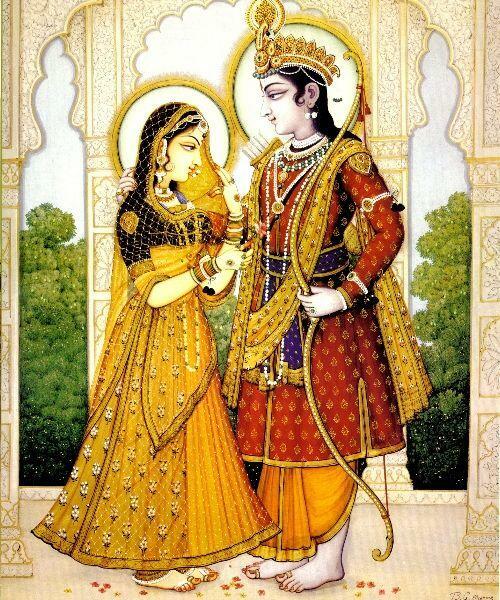 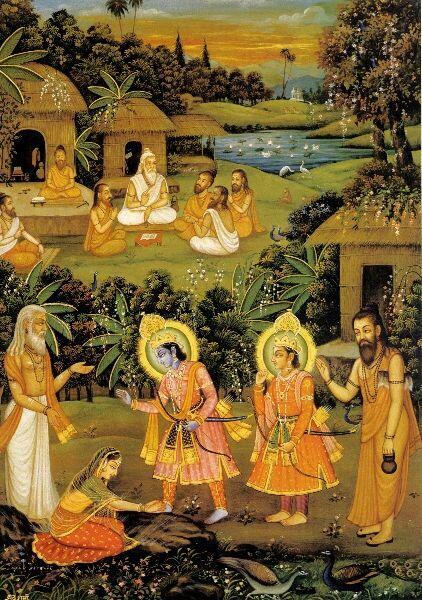 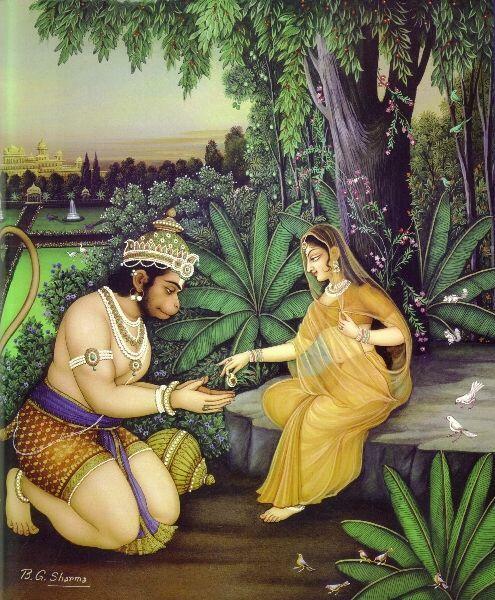 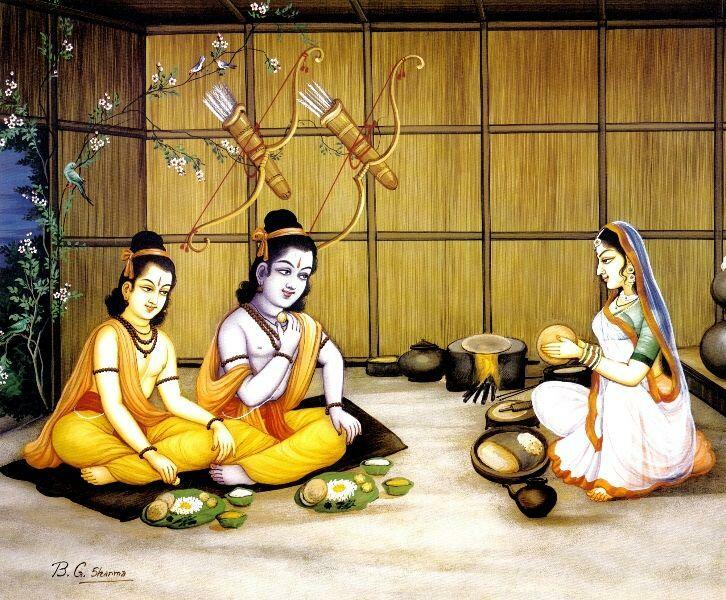 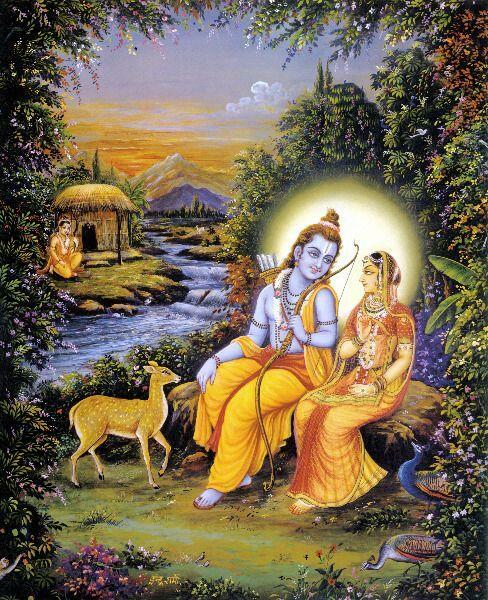 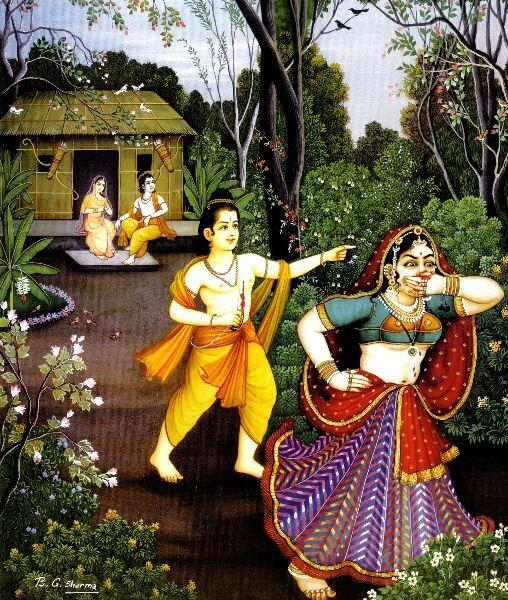 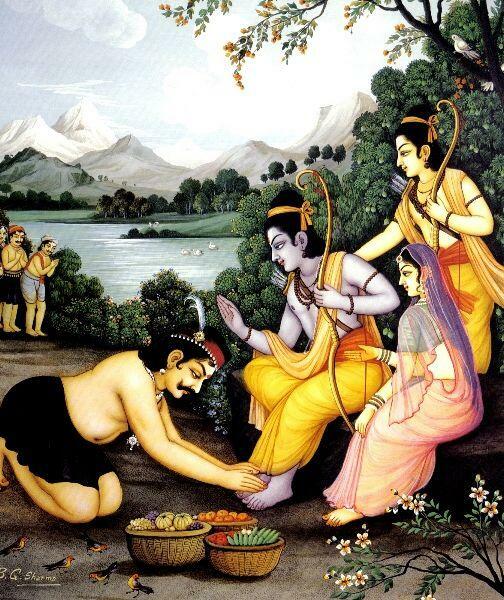 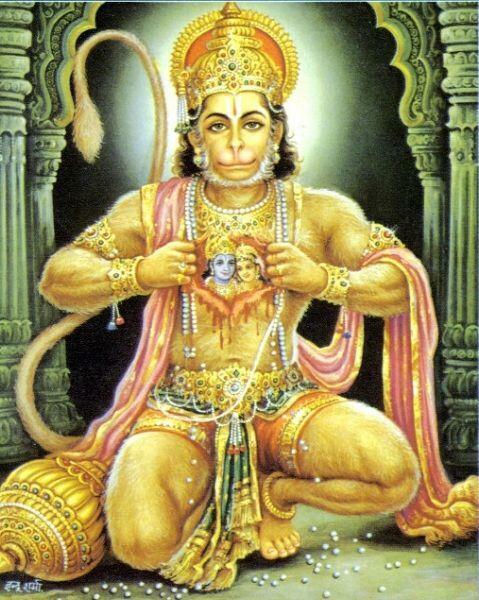 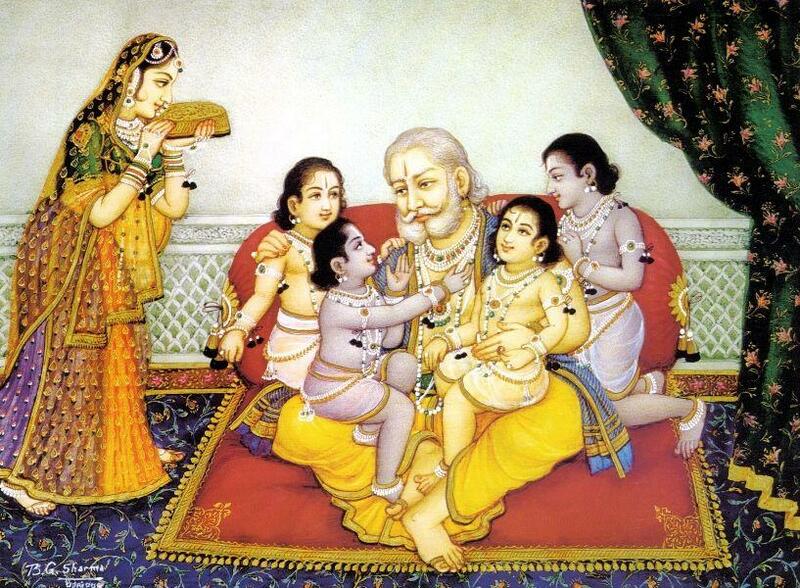 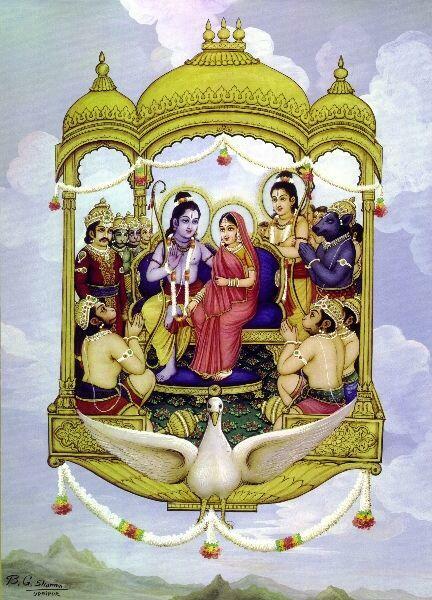 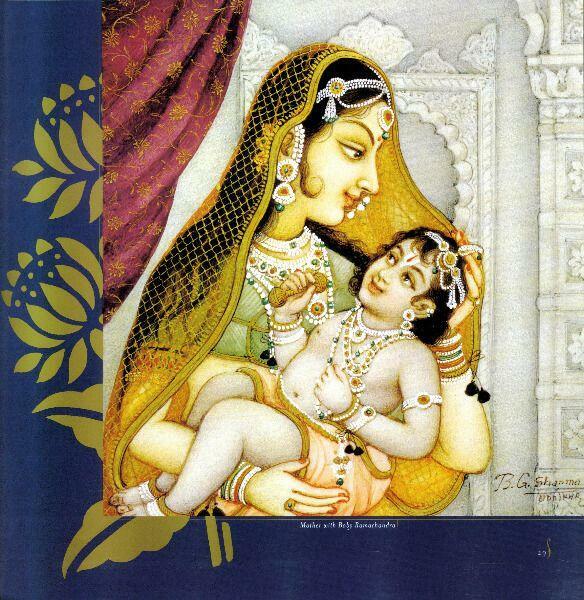 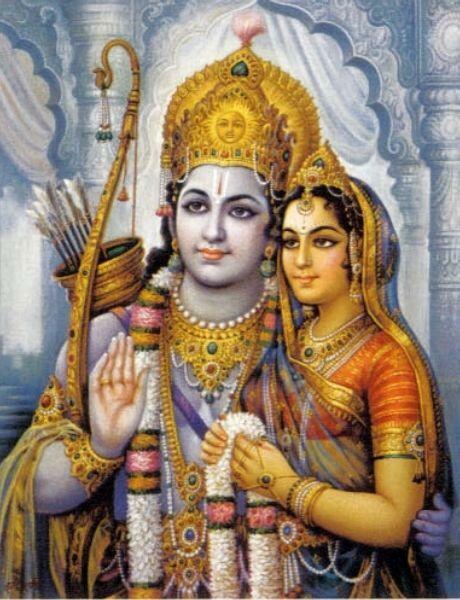 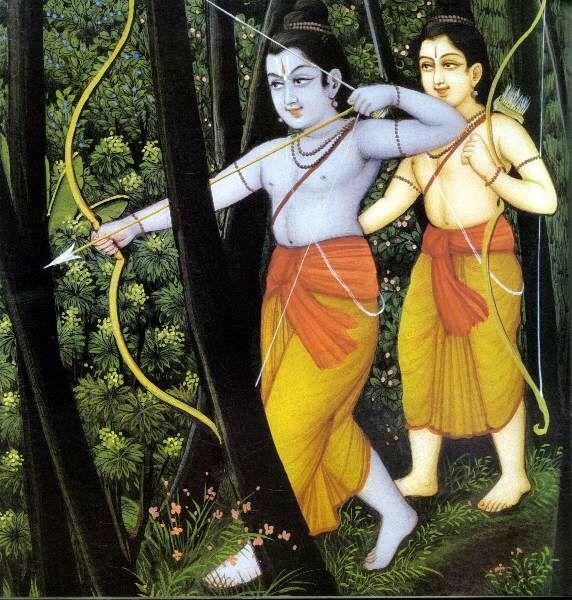 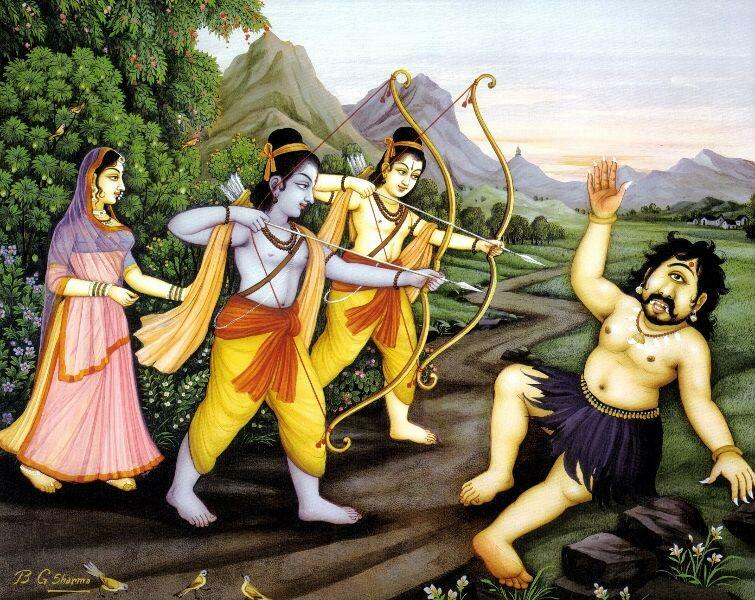 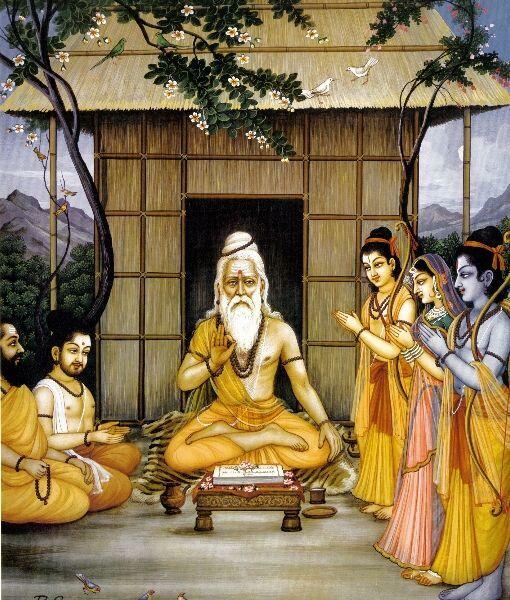 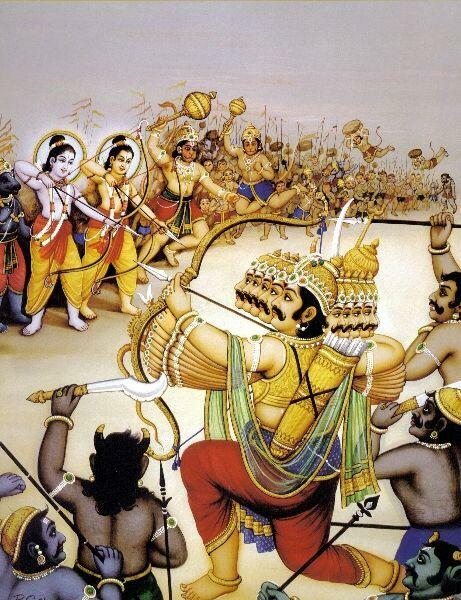 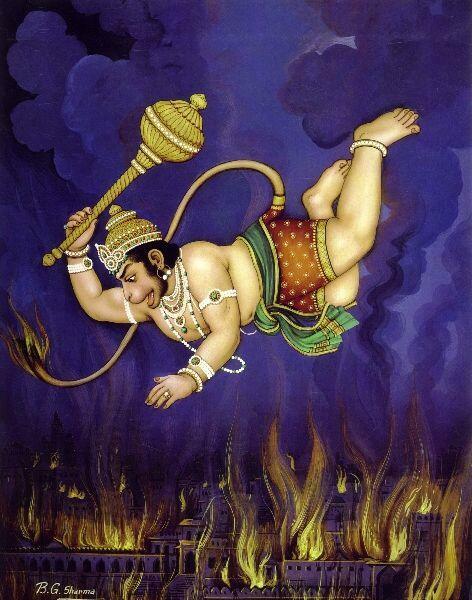 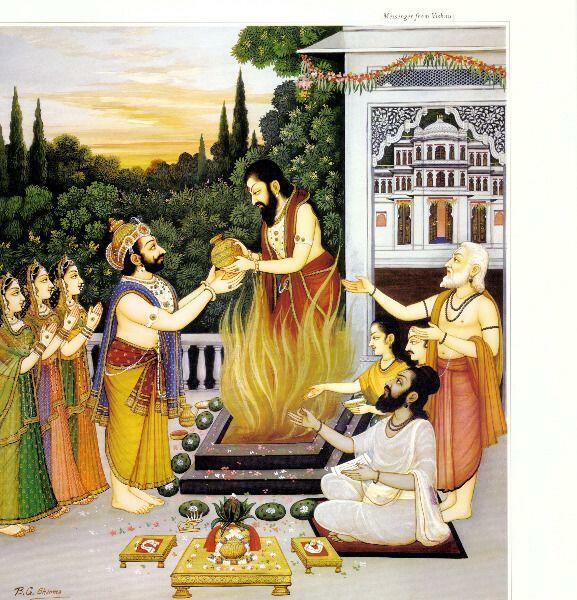 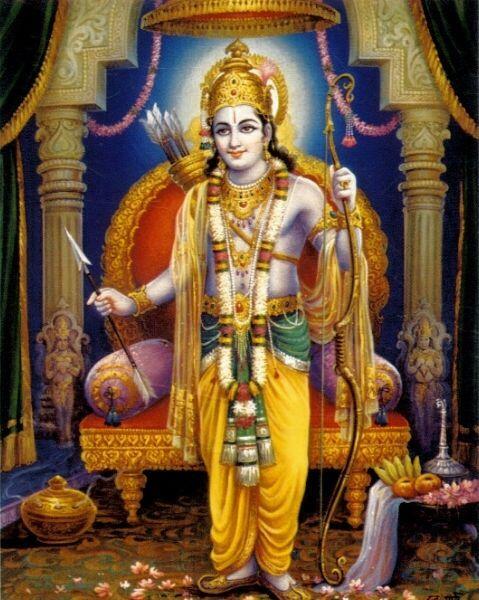 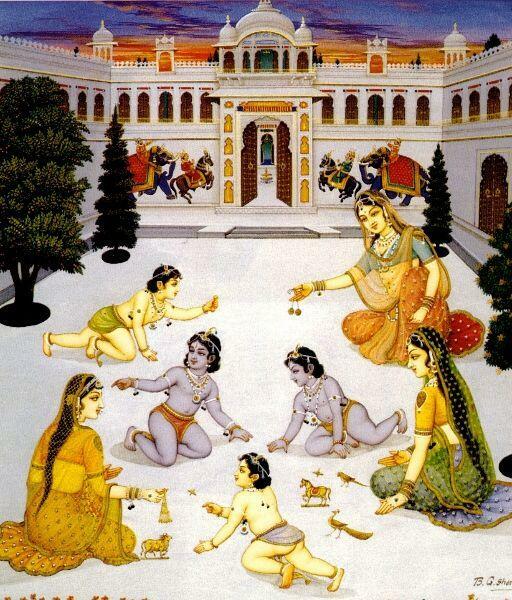 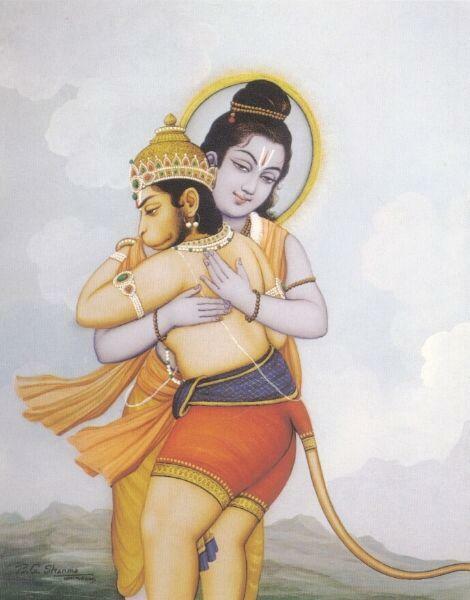 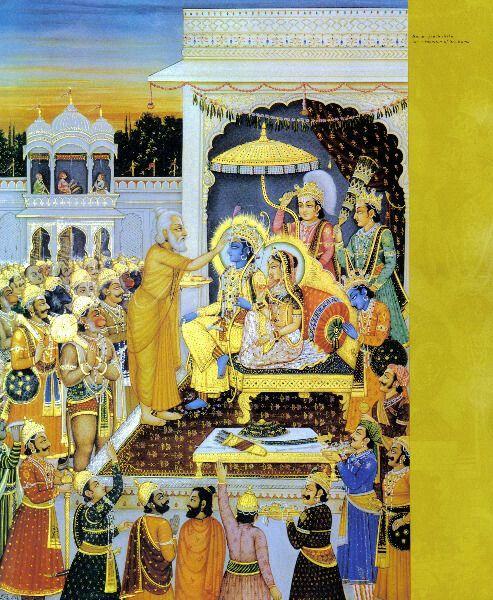 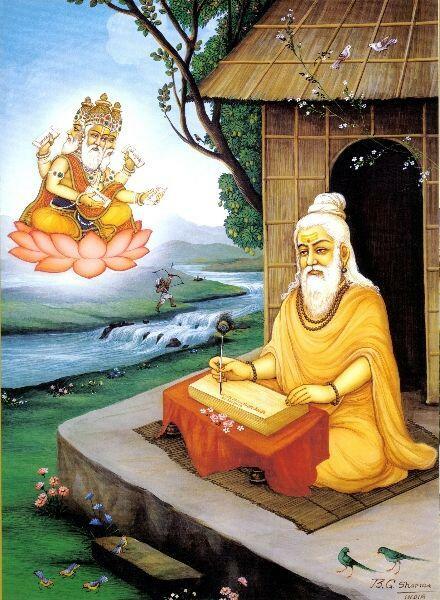 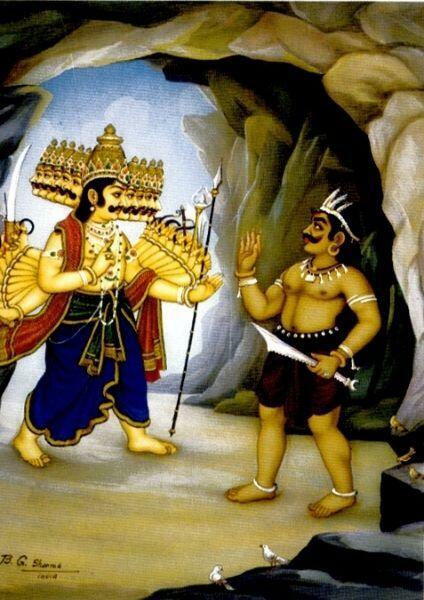 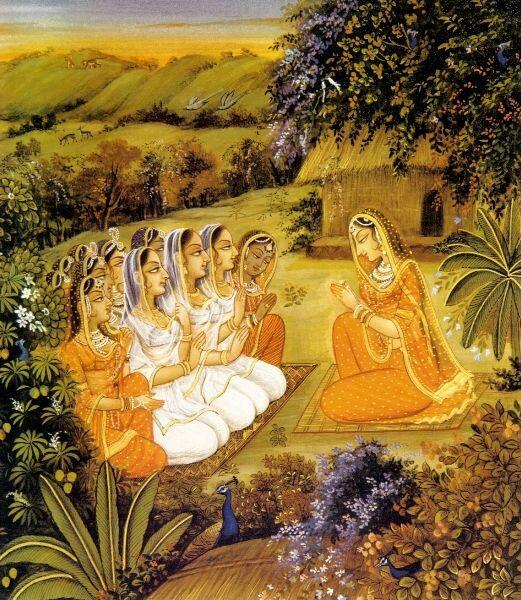 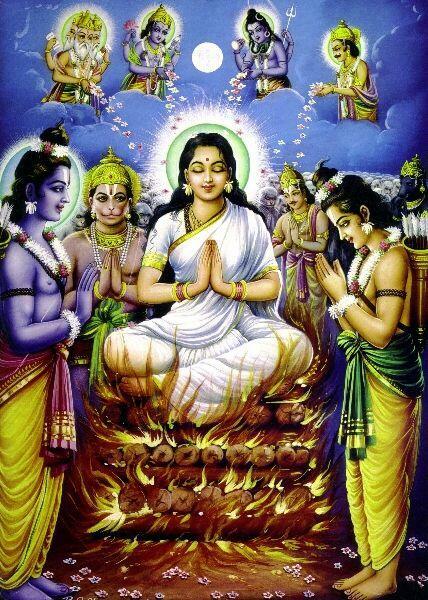 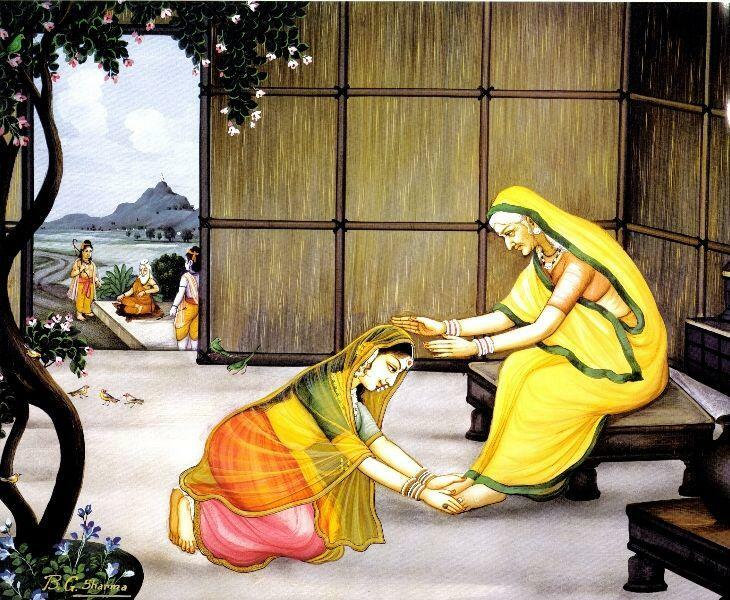 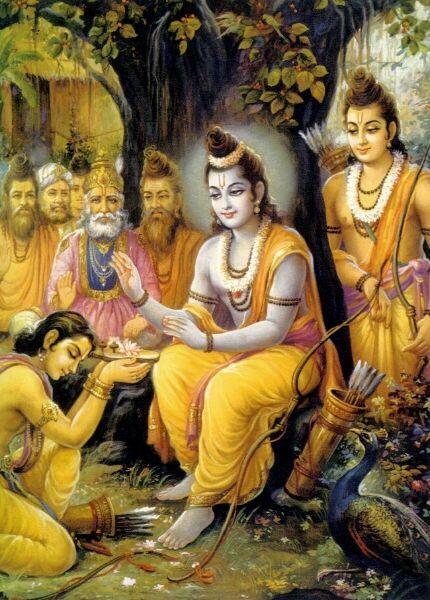 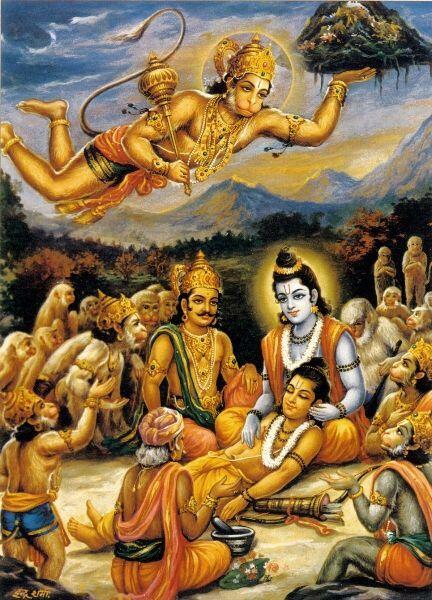 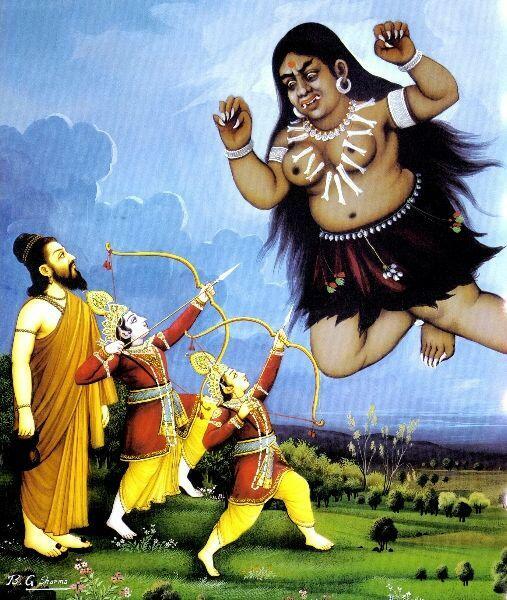 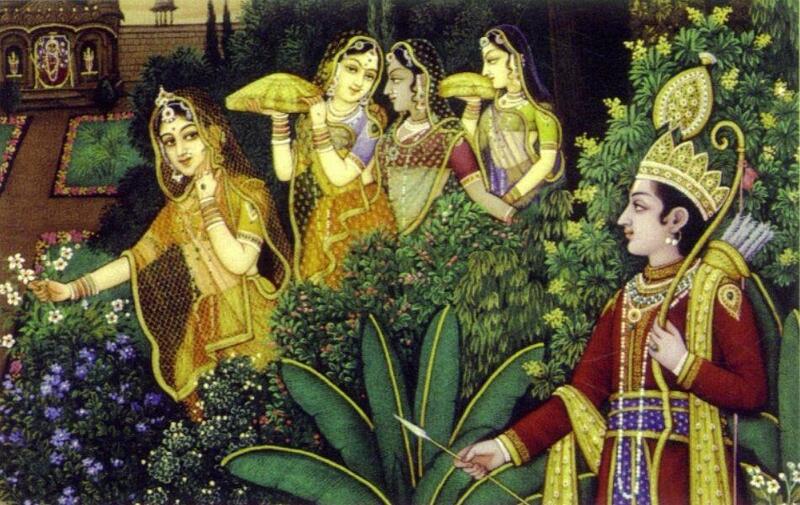 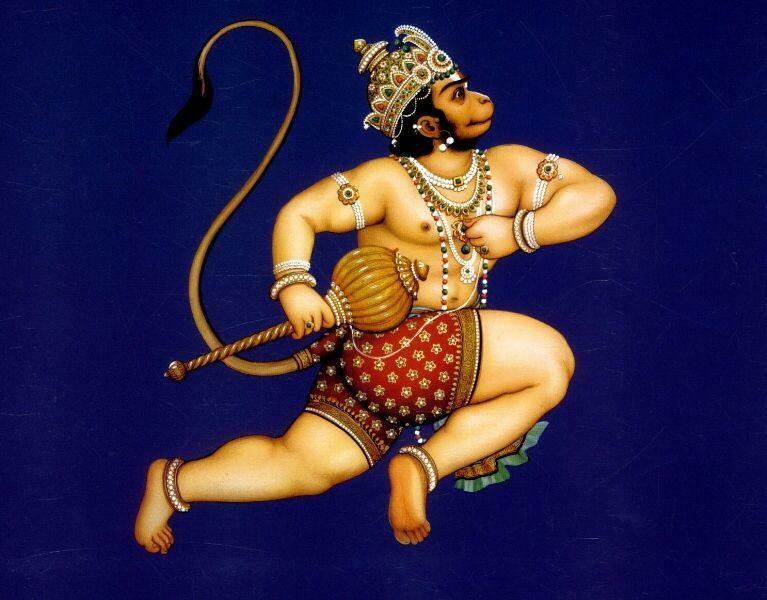 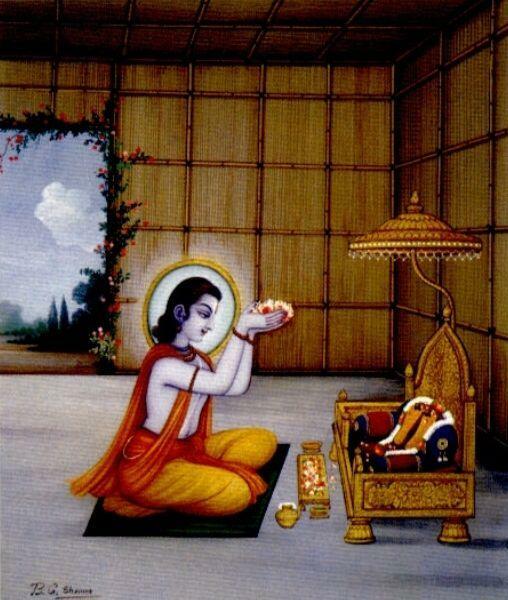 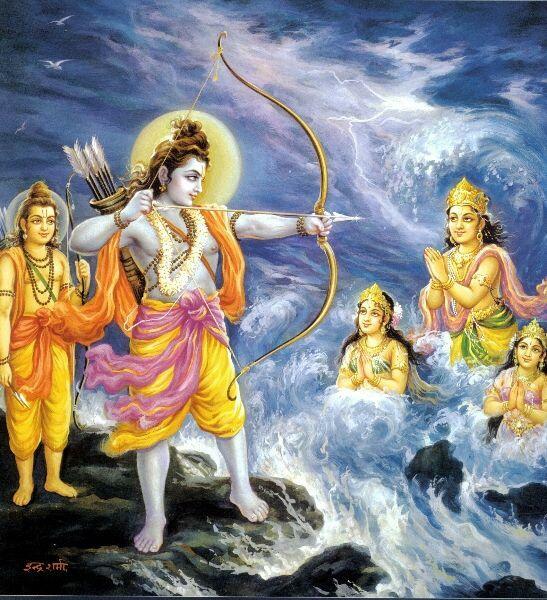 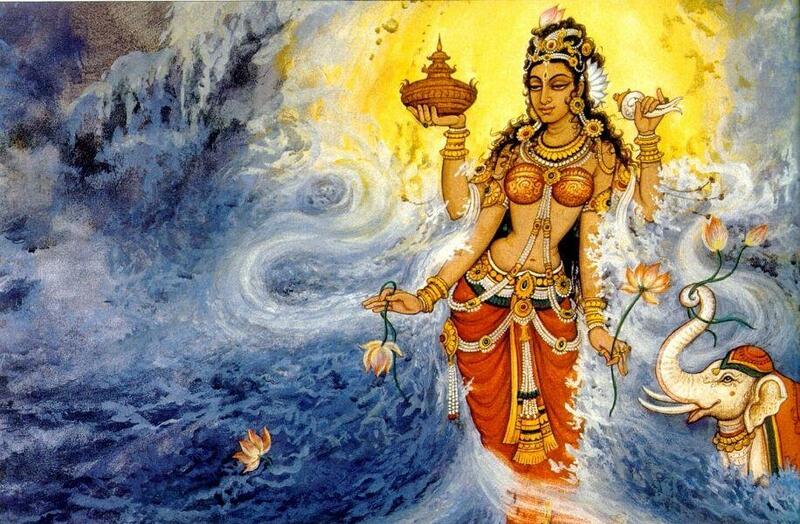 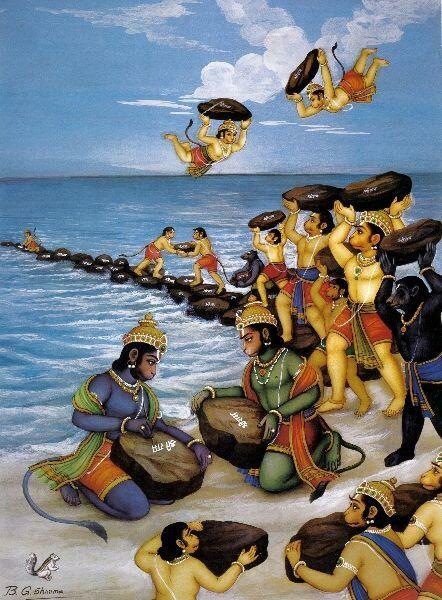 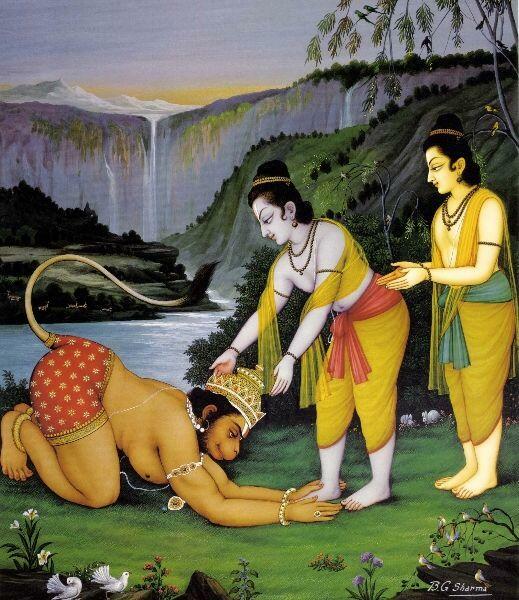 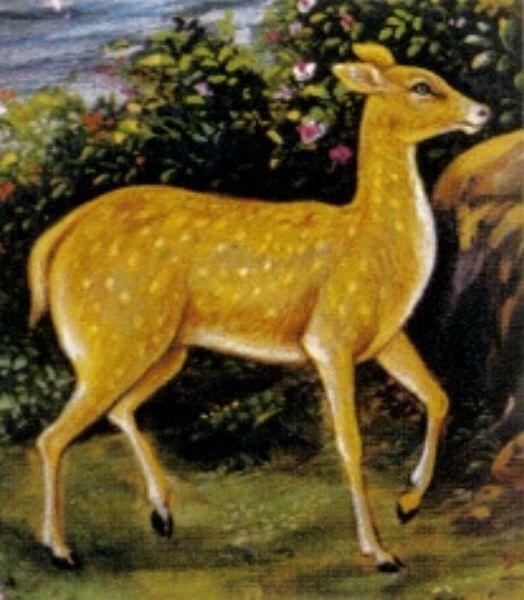 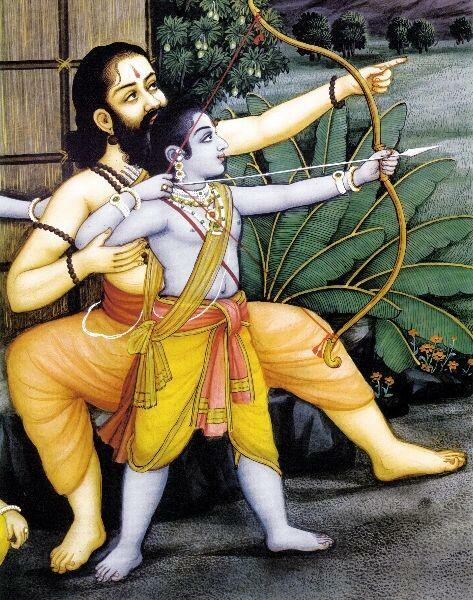 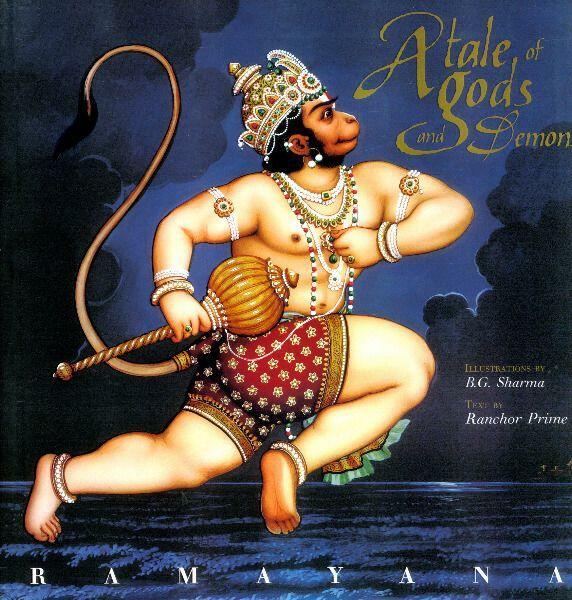 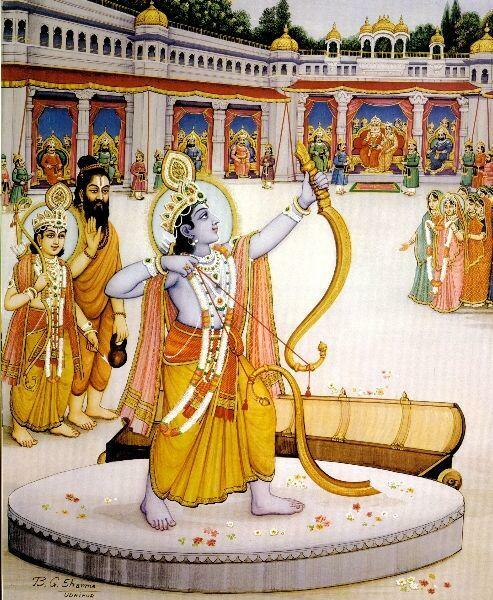 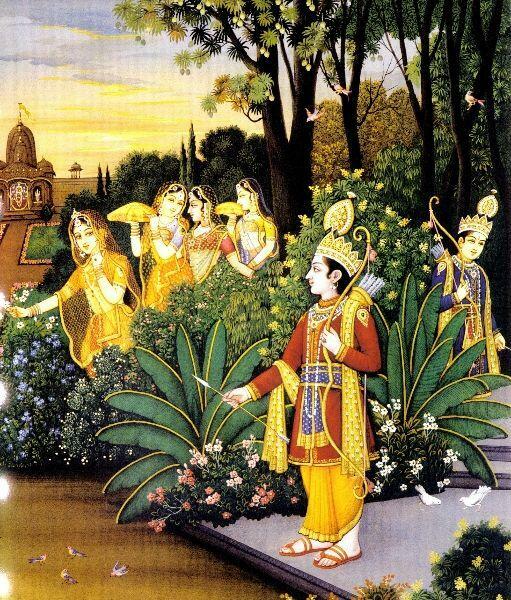 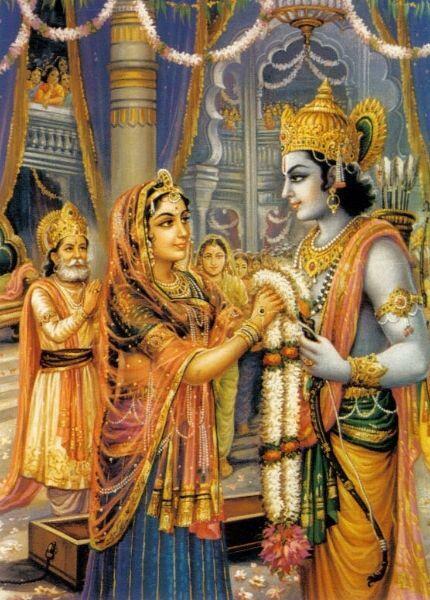 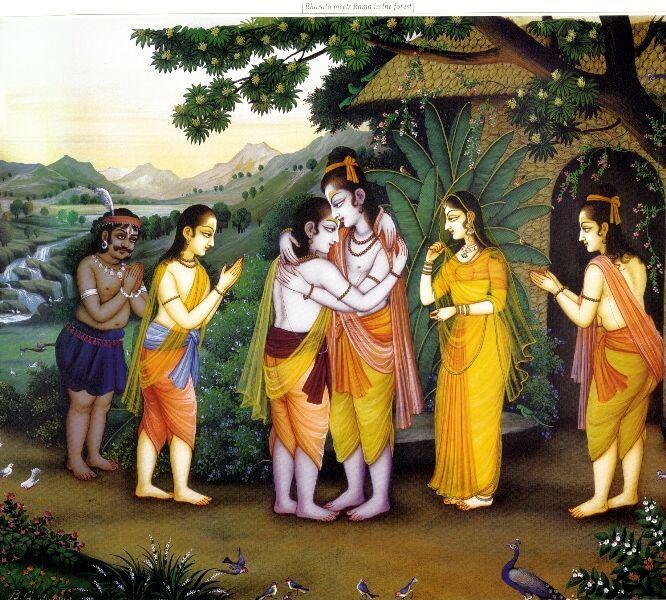 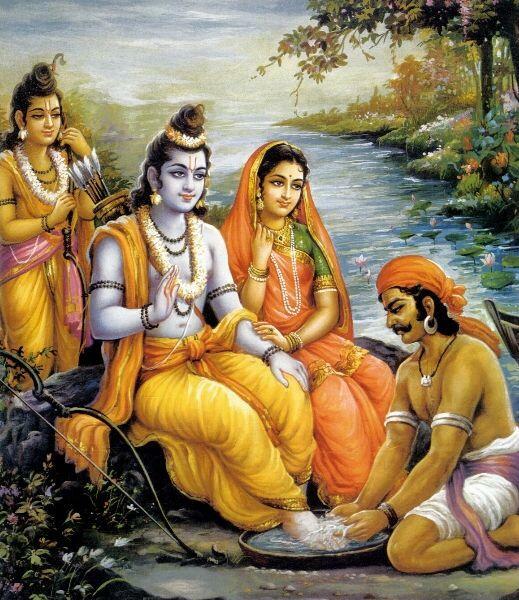 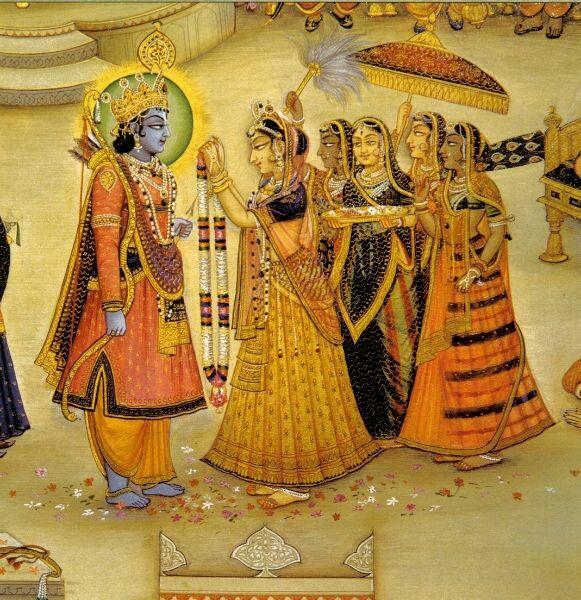 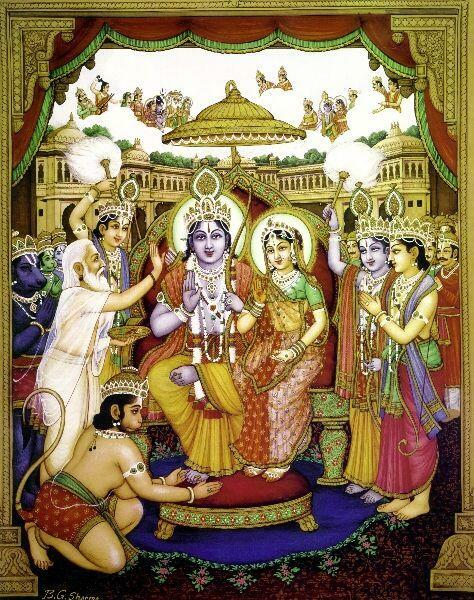 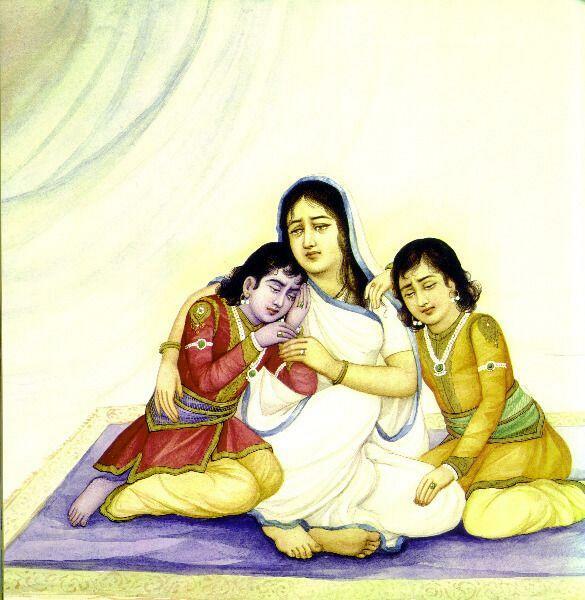 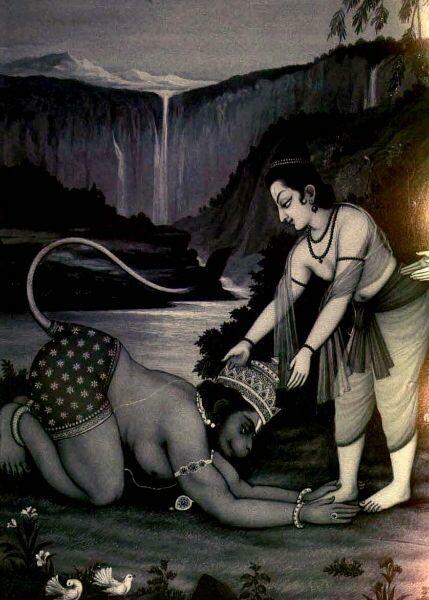 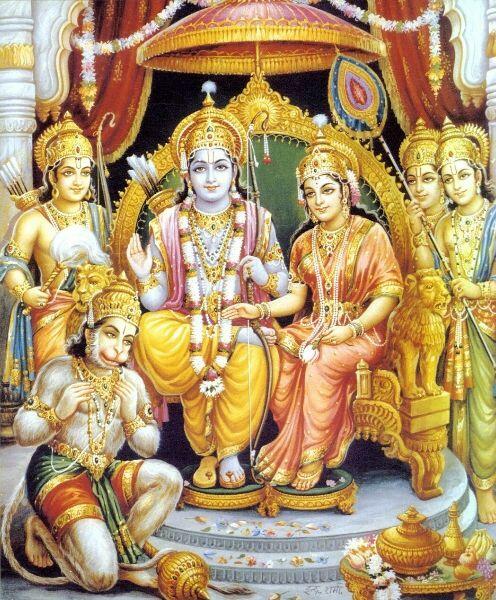 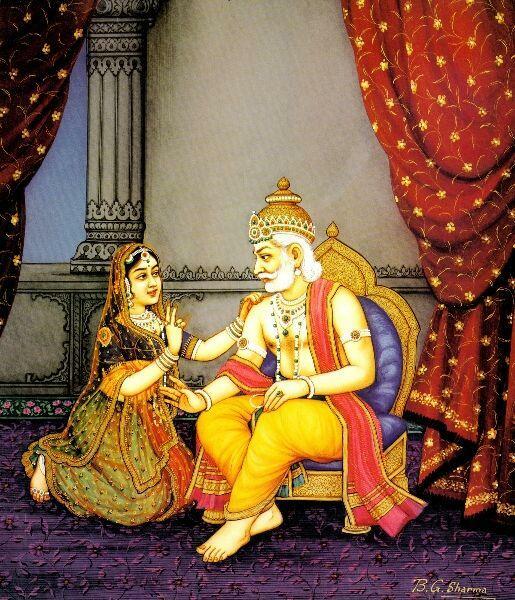 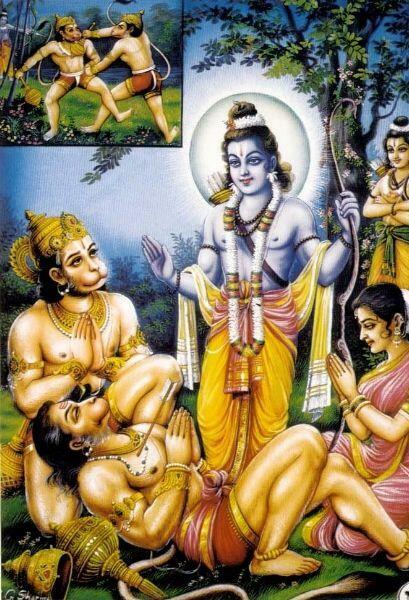 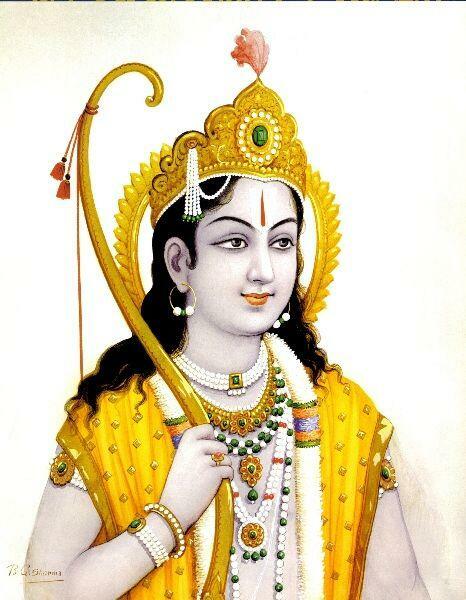 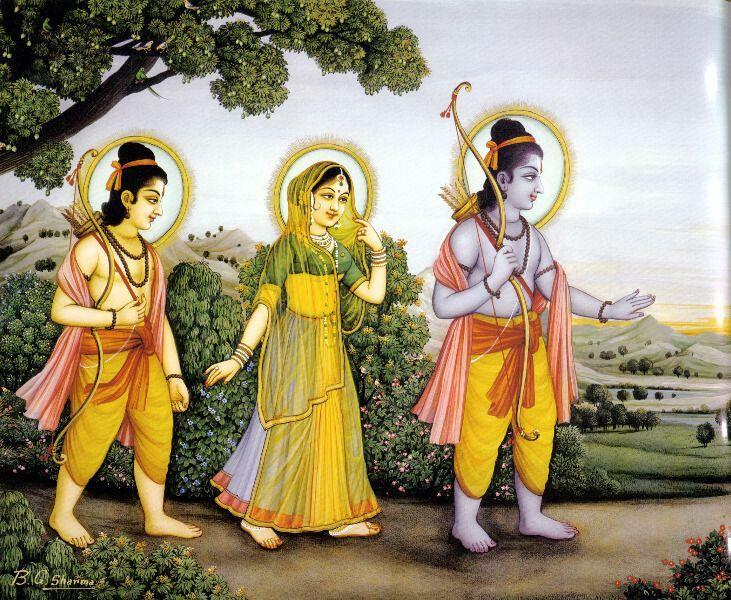 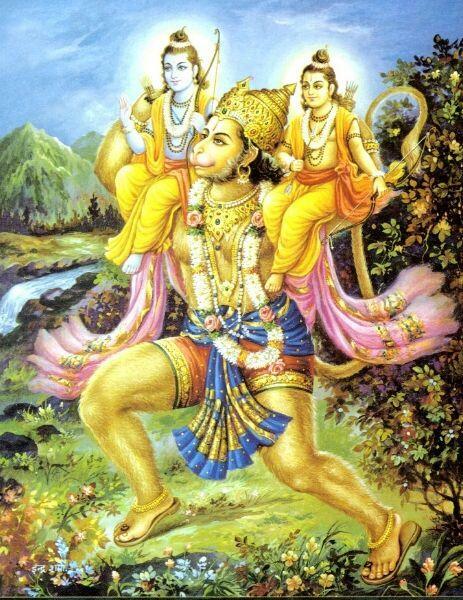 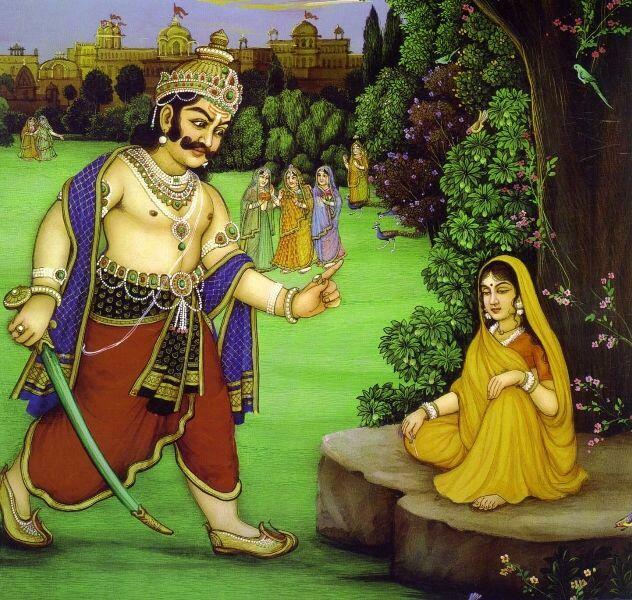 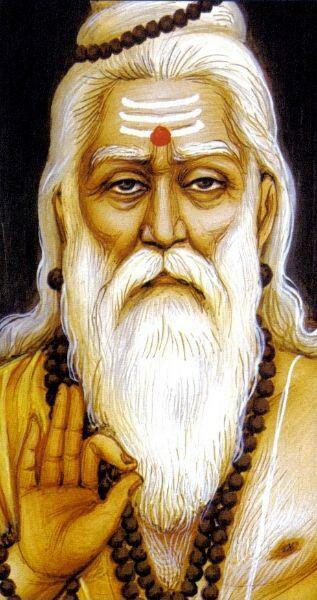 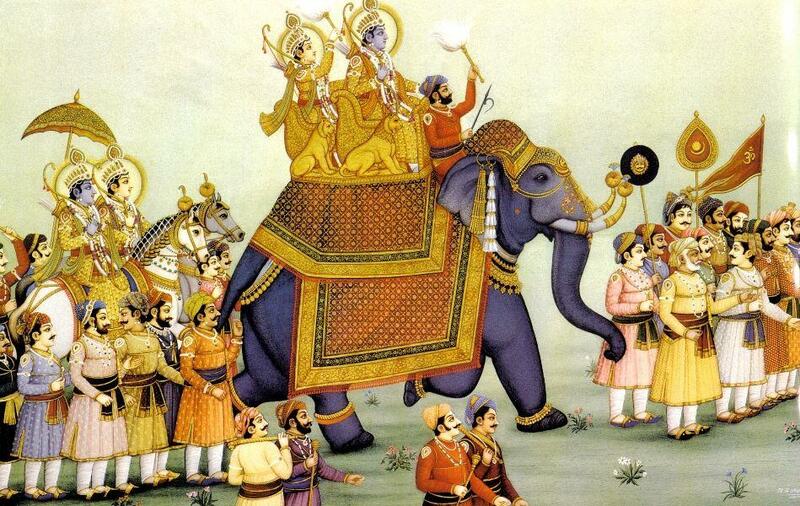 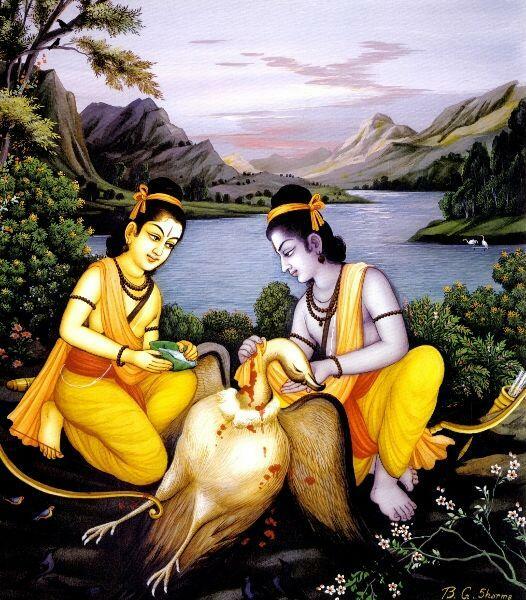 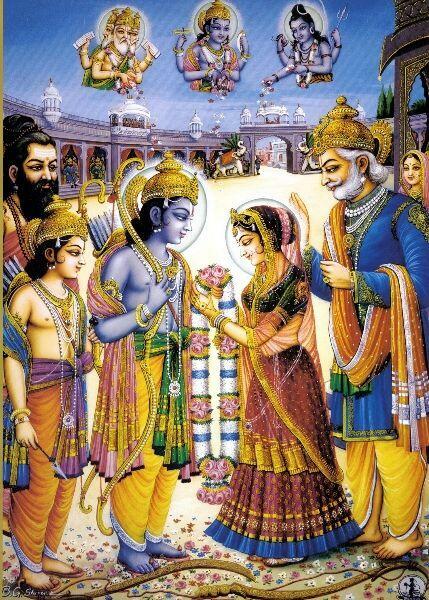 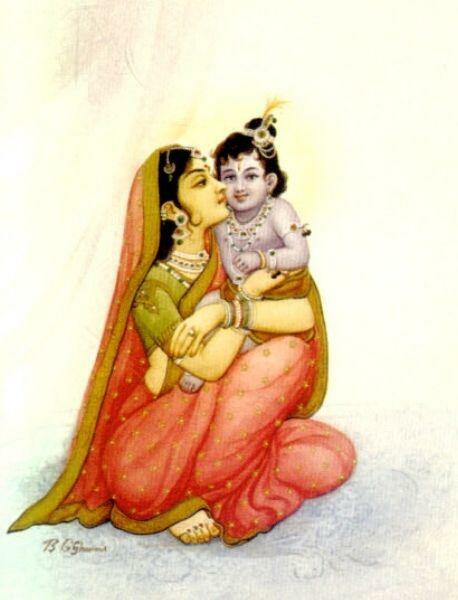 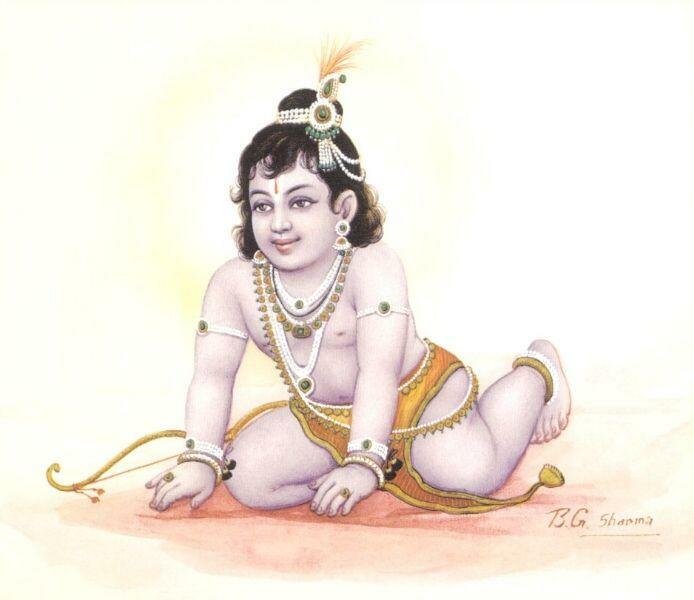 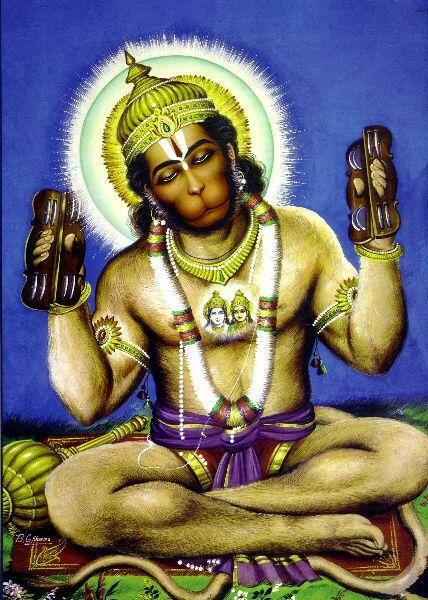 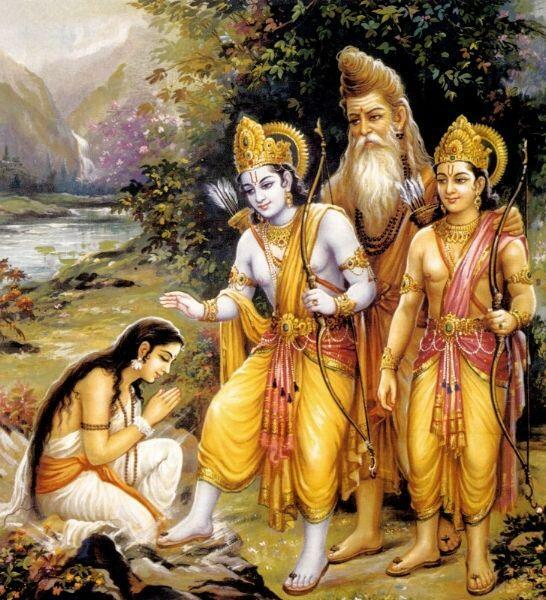 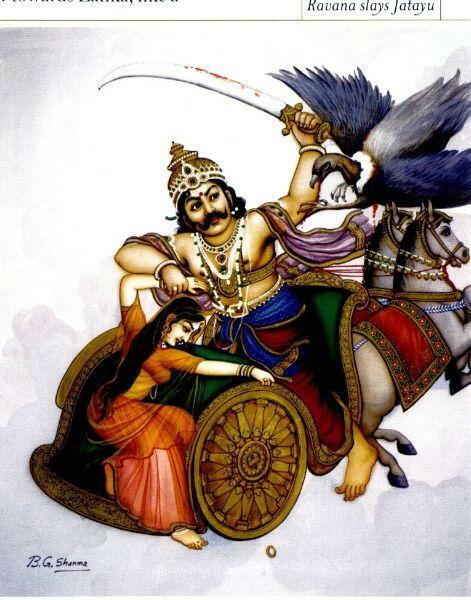 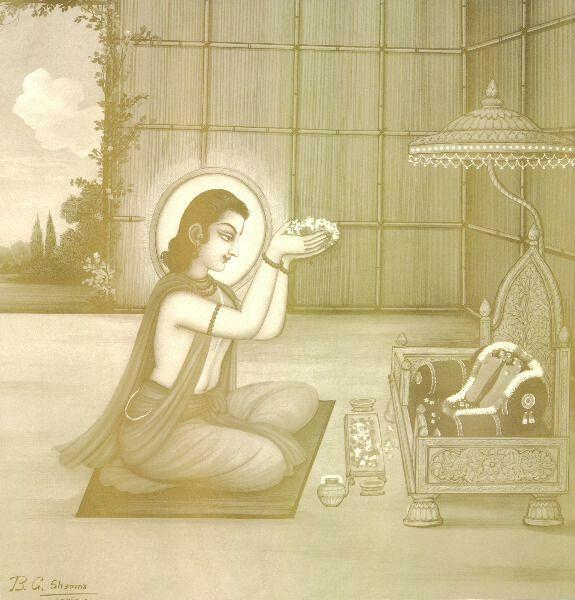 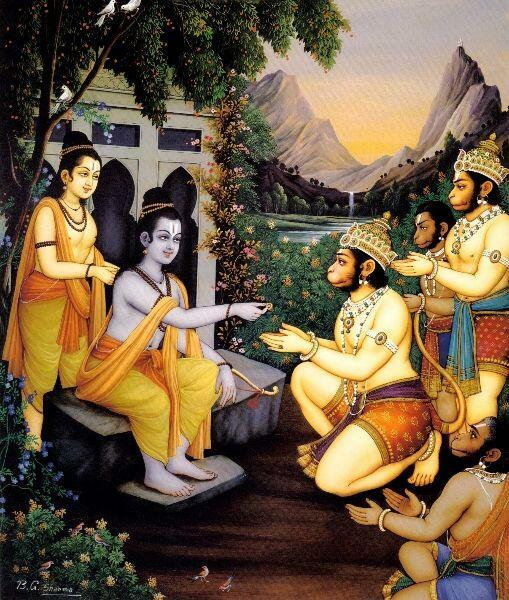 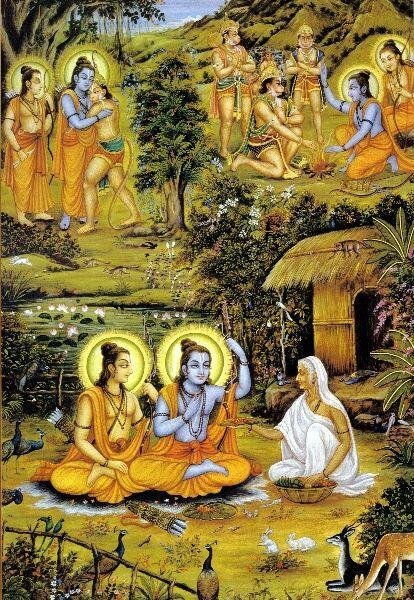 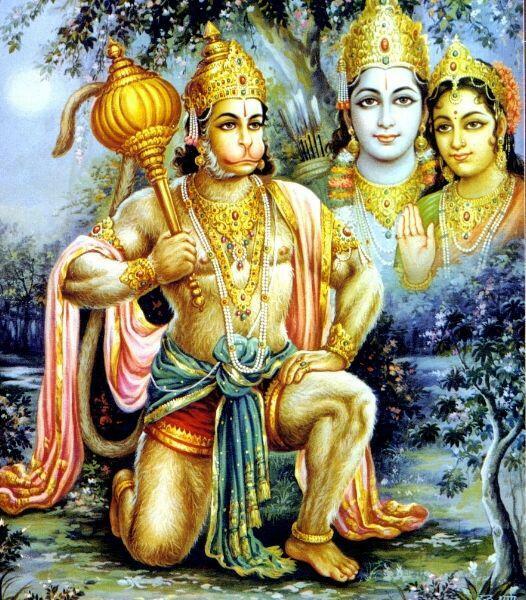 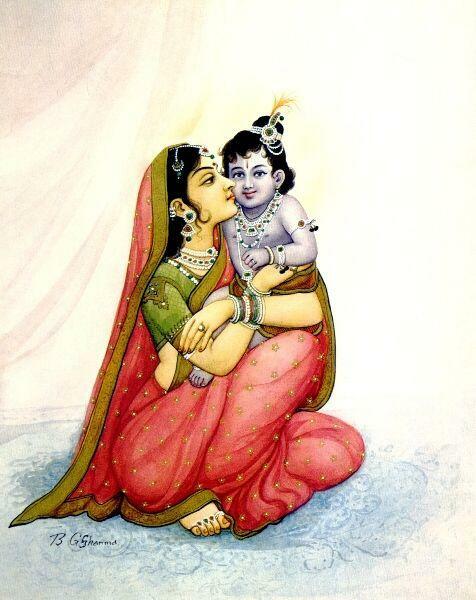 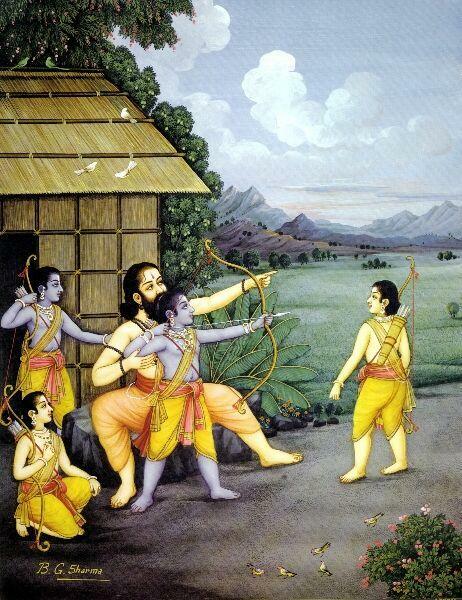 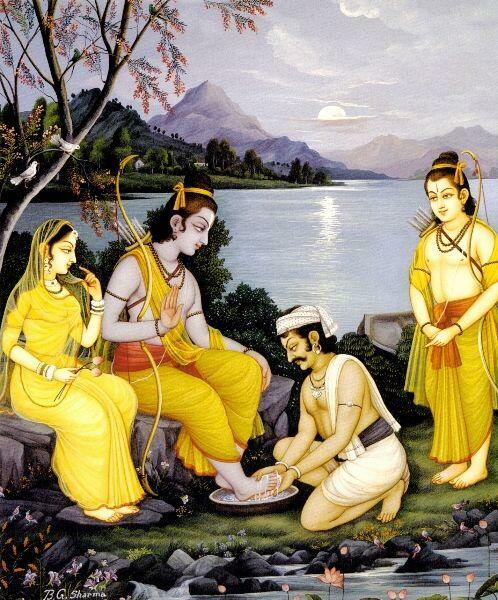 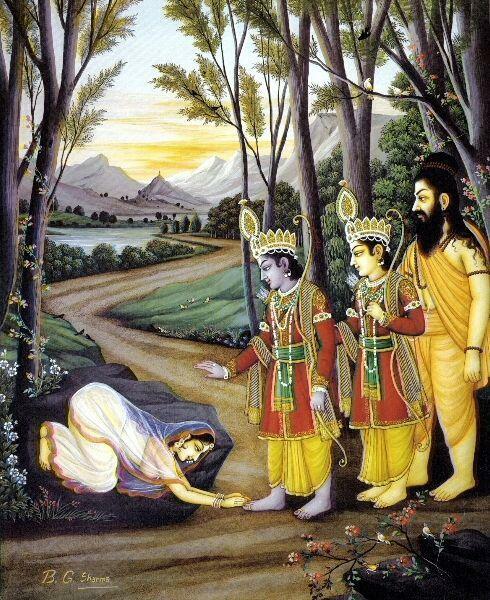 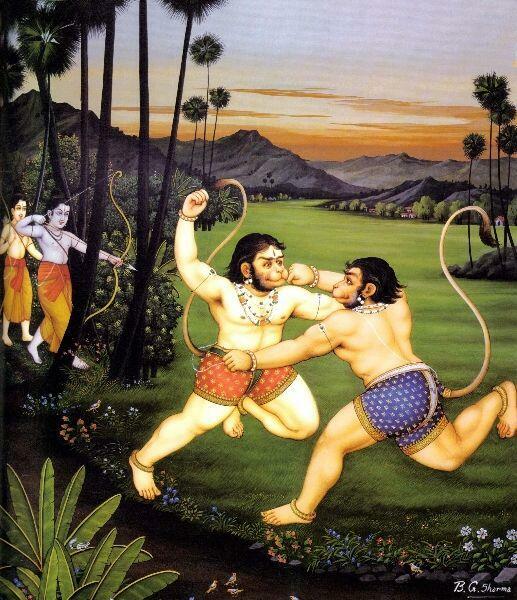 The Ramayana, or tales of Rama, is an ancient Indian epic that spread from India to various parts of Southeast Asia. 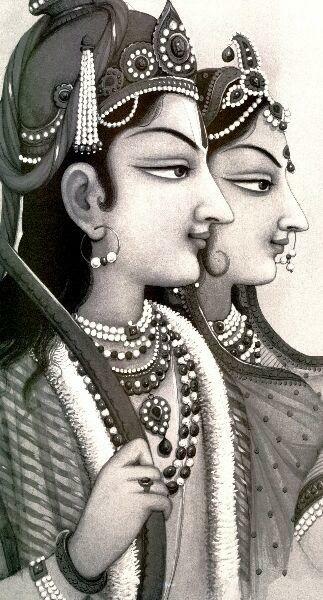 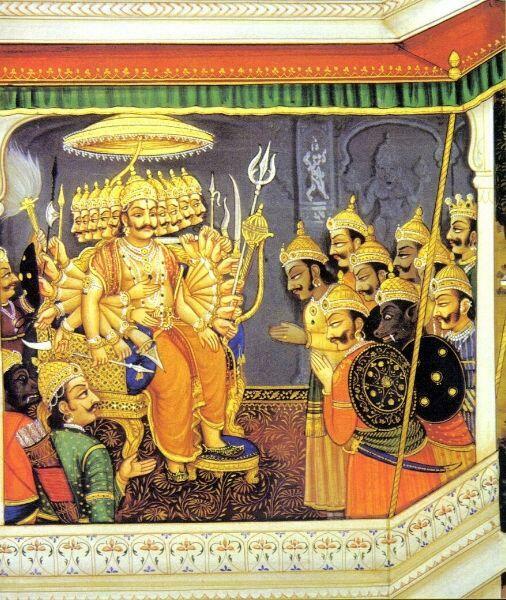 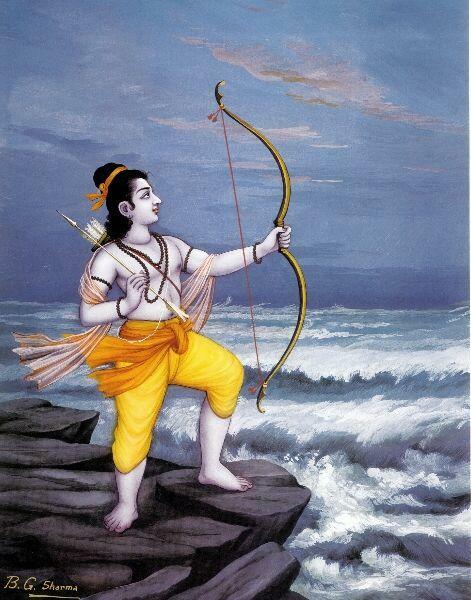 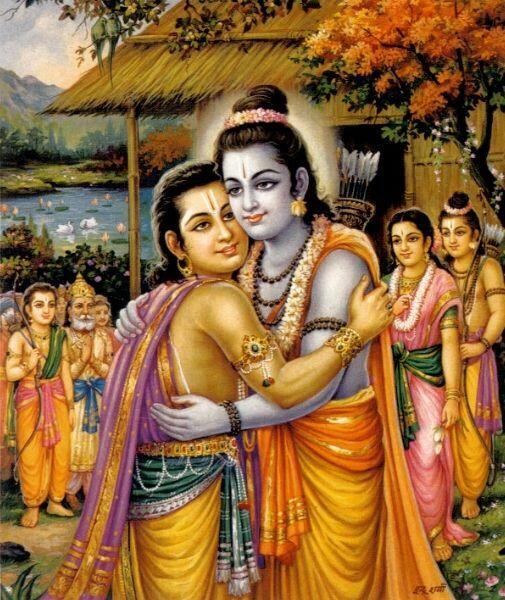 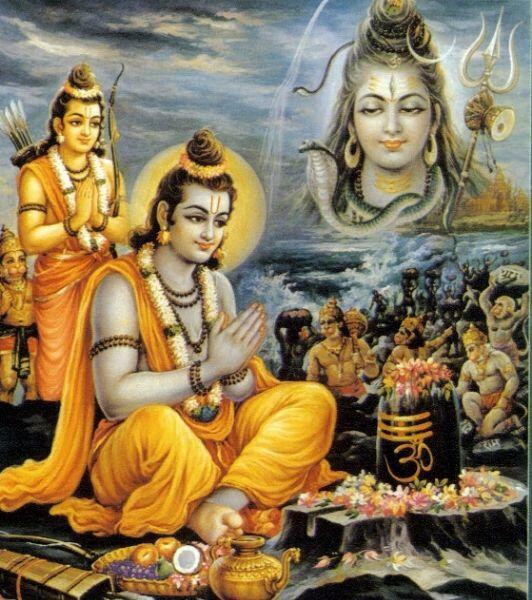 Of immense significance to Hindus, its protagonist Rama is considered to be an avatar (incarnation) of the Lord Vishnu (one of Hinduism’s Holy Trinity of gods who descended to earth in ten avatars), and the epic relates the major events in Rama’s life, from his birth to his death. 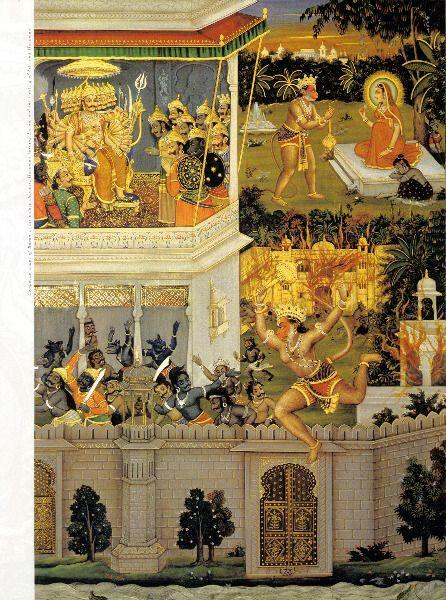 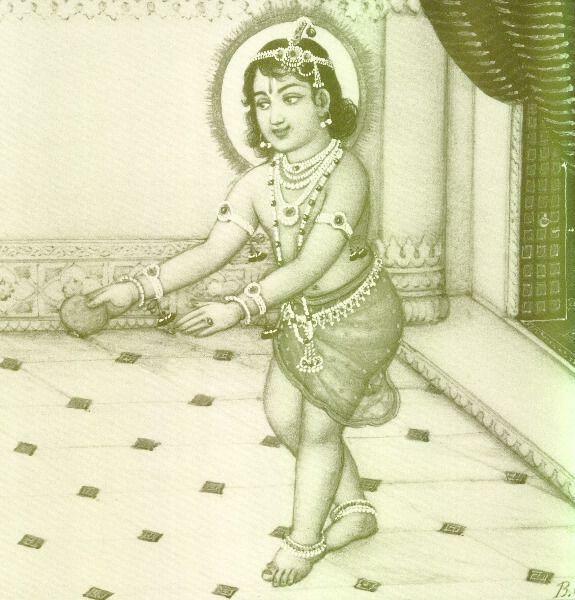 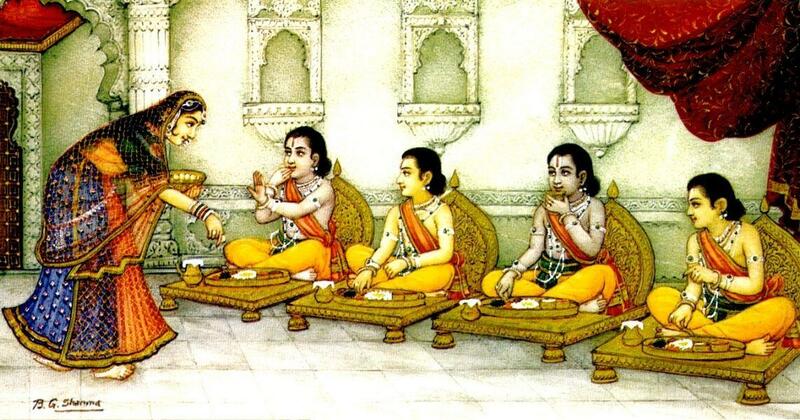 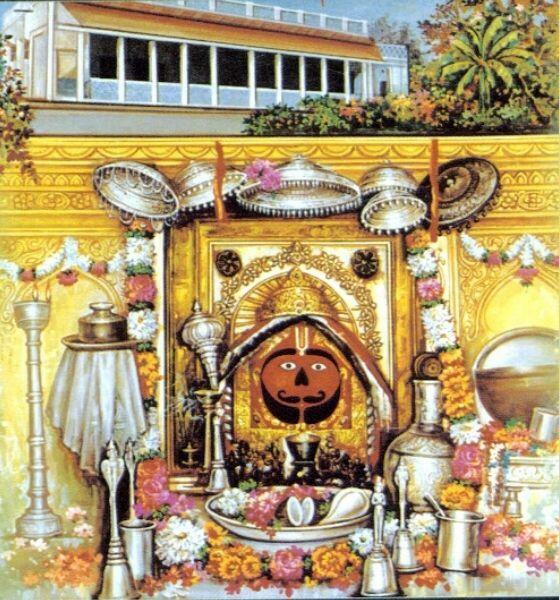 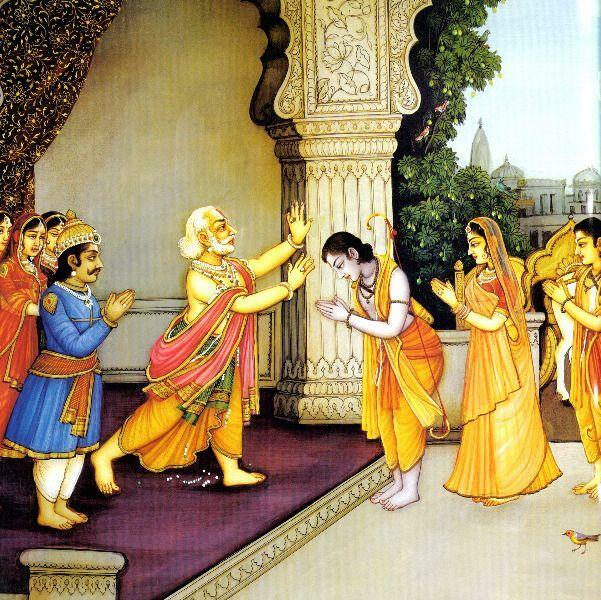 The representation of the Ramayana in the visual arts gained popularity not only for its lively narrative possibilities, but also because performance of the epic is considered a holy and auspicious act of devotion. 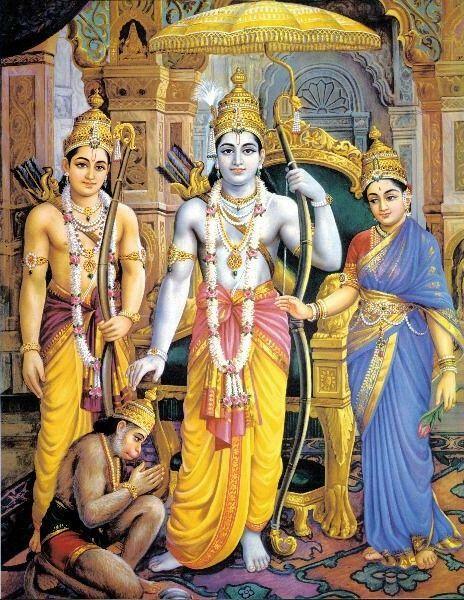 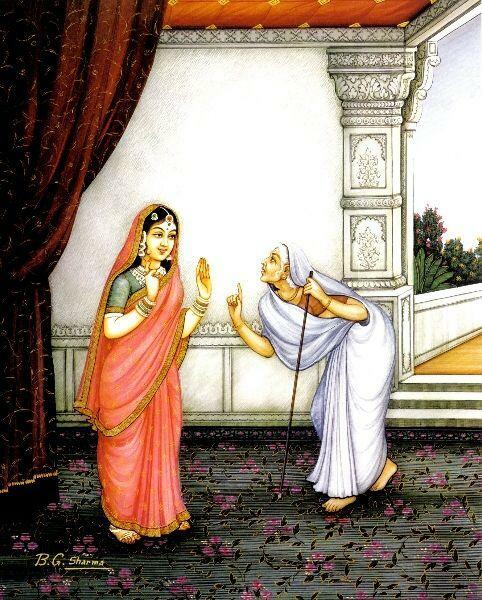 Illustrations of the Ramayana can be found in a variety of media and contexts, ranging from temple carvings and manuscript illustrations to masks, puppets, textiles, and, most recently, in film and television, where its popularity continues today.